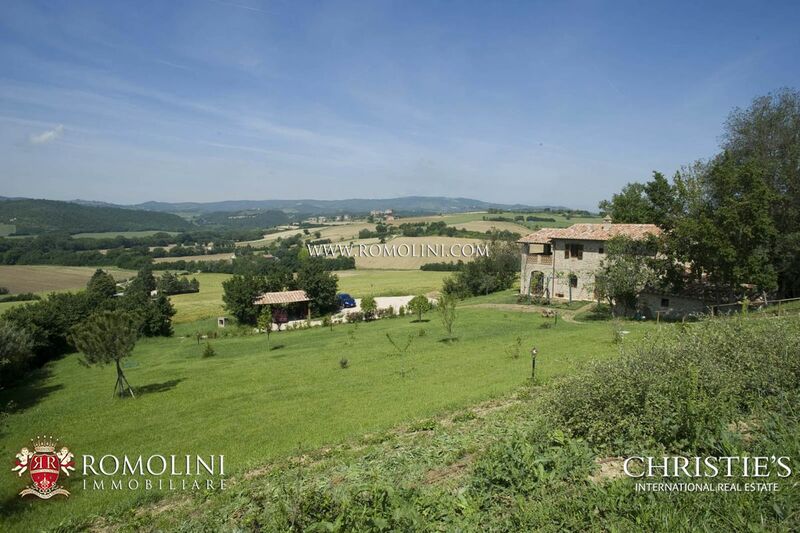 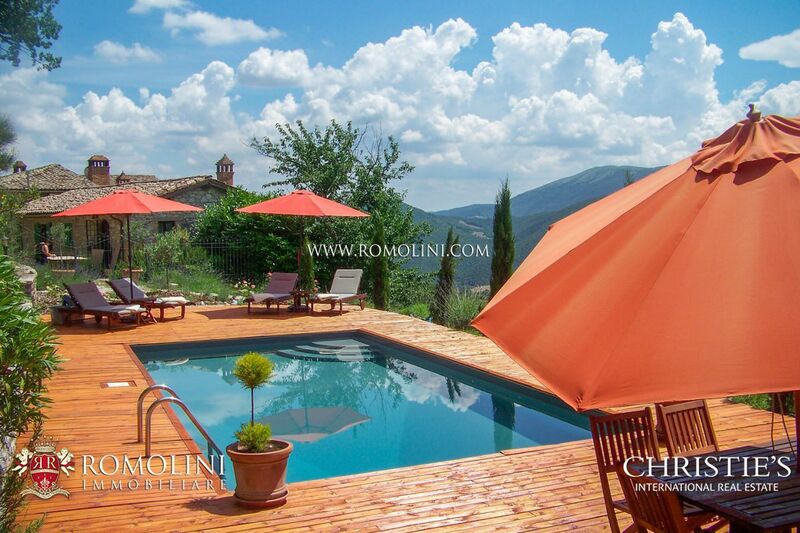 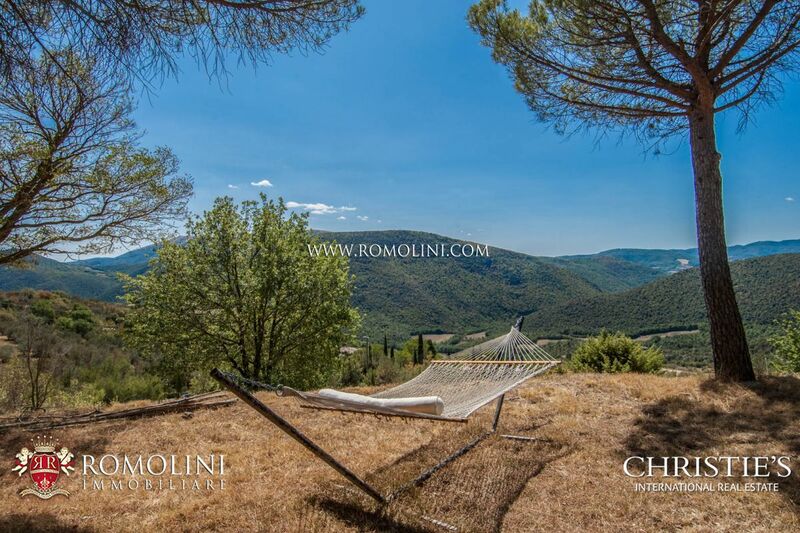 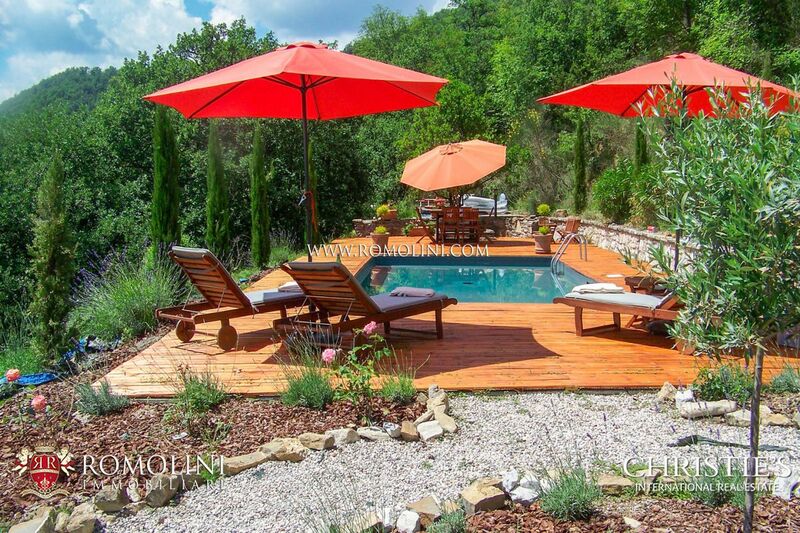 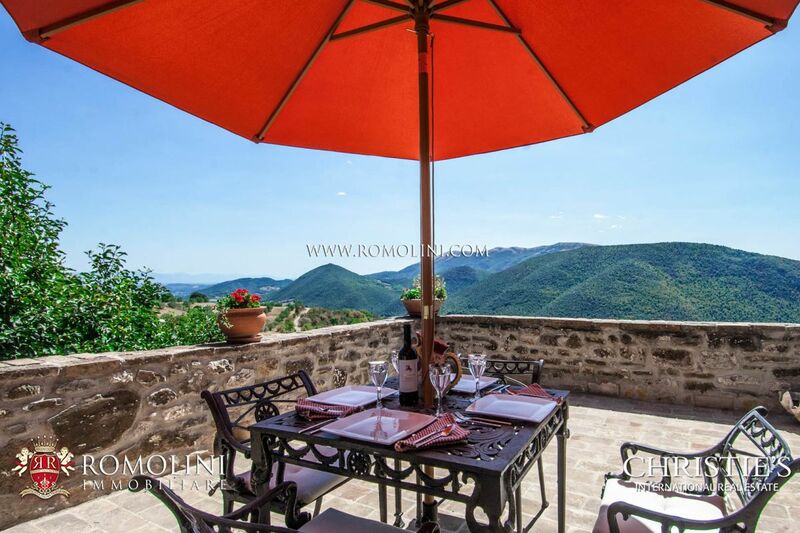 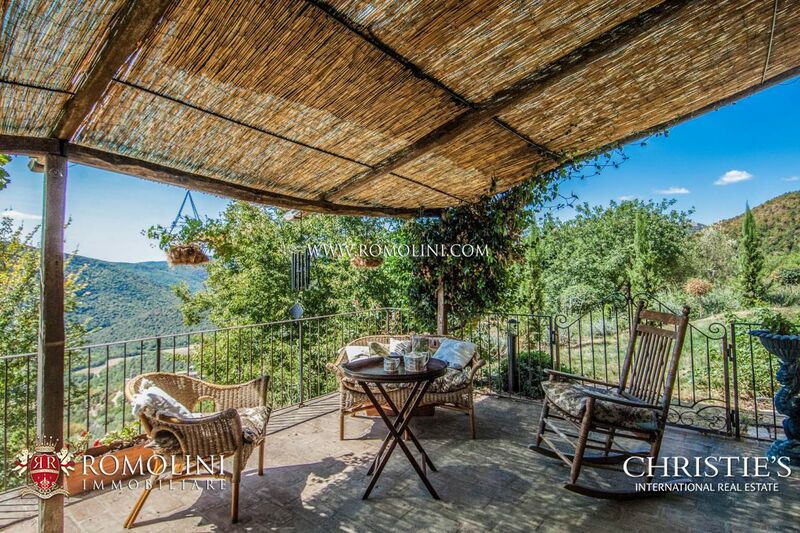 On the green hills of Umbria, in an extremely panoramic location a short distance from Umbertide, fully restored farmhouse with pool, garden and annex. 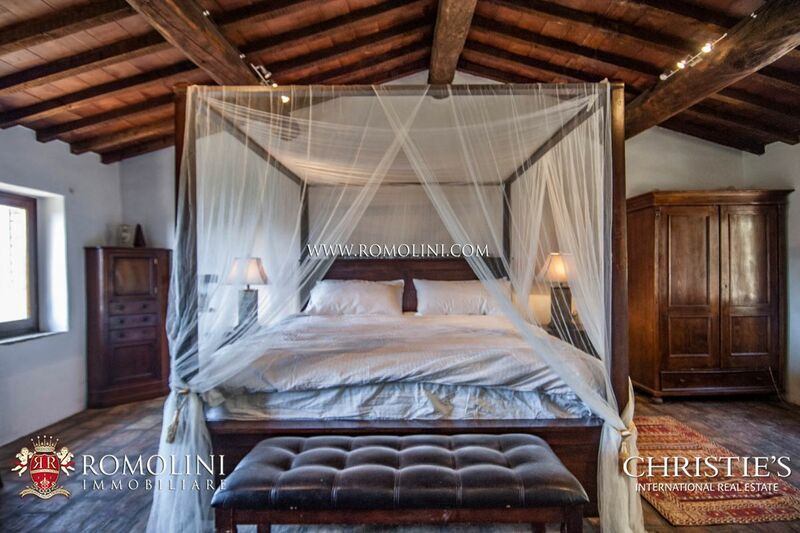 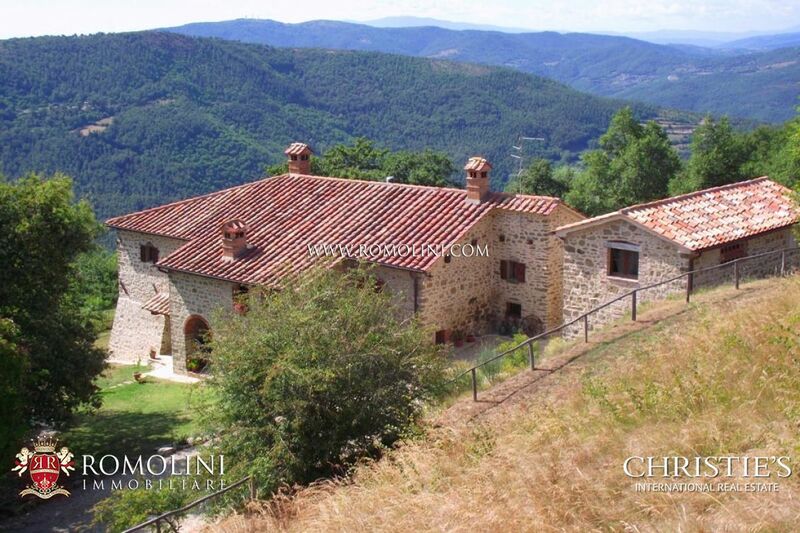 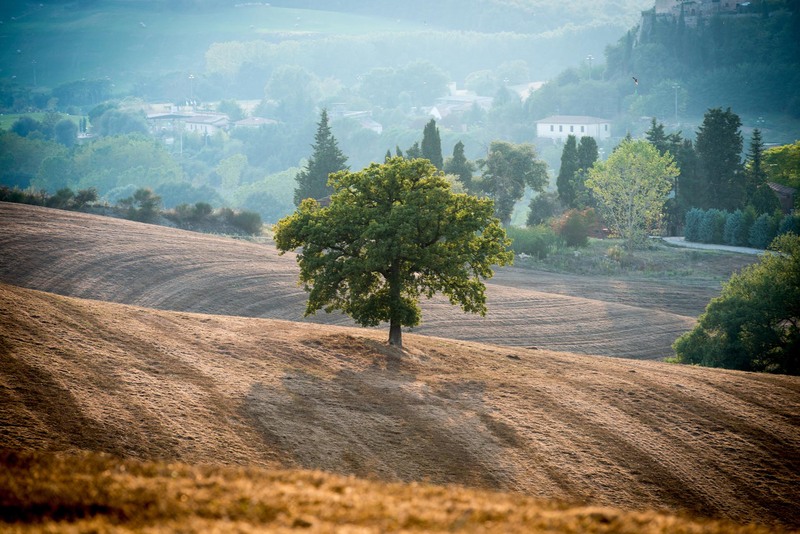 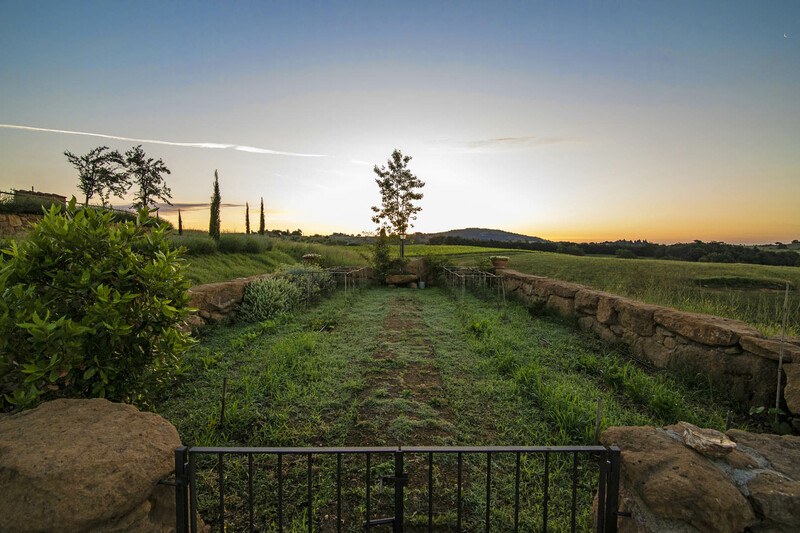 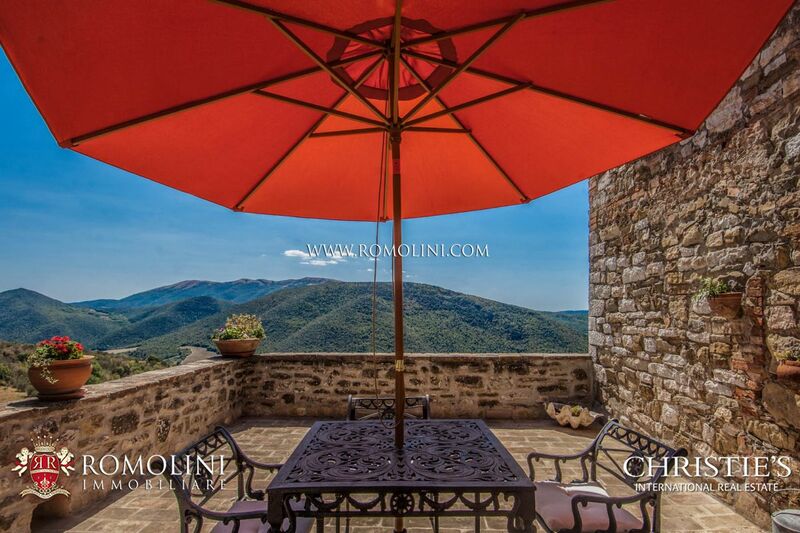 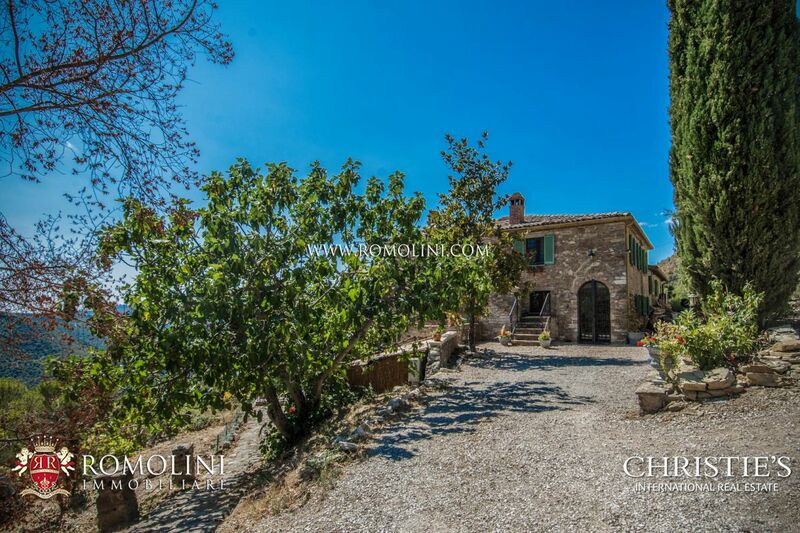 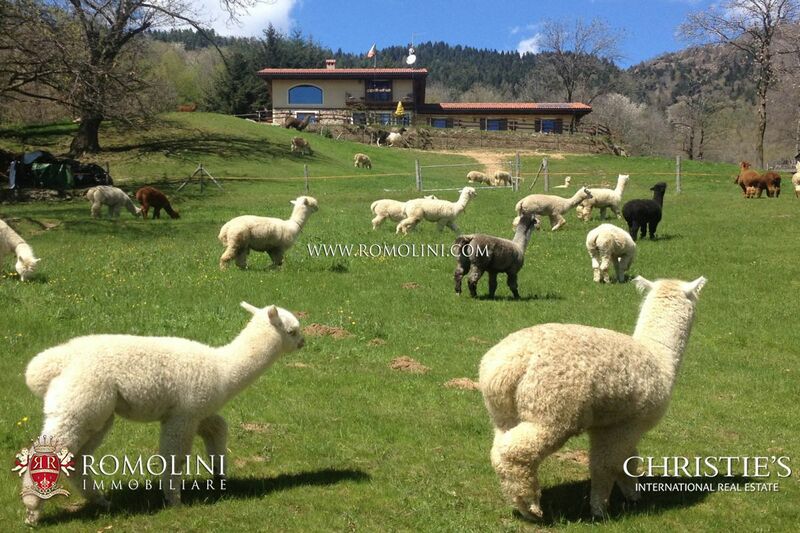 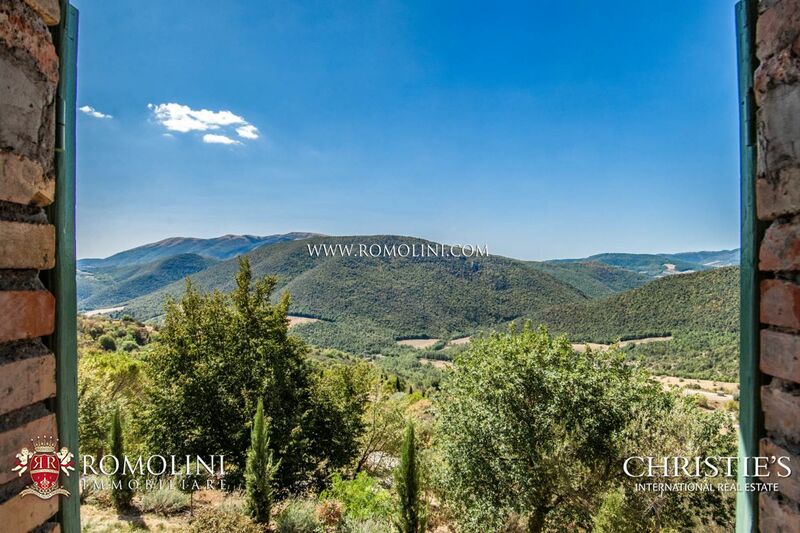 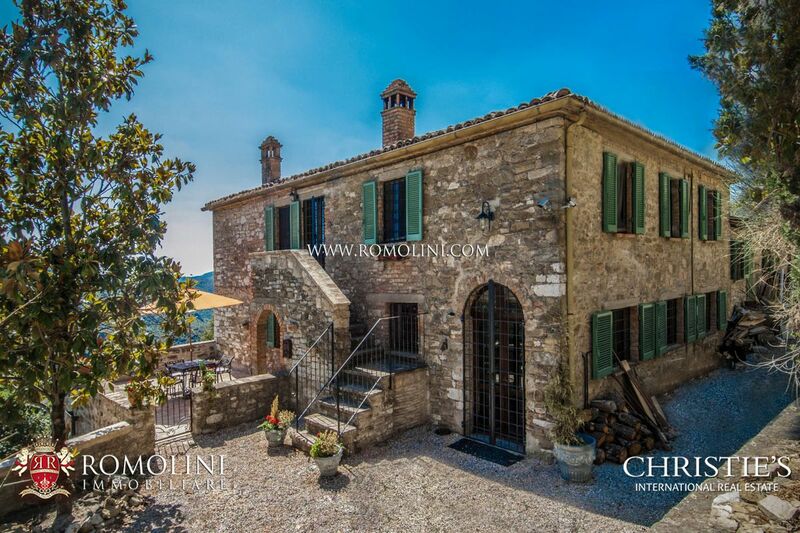 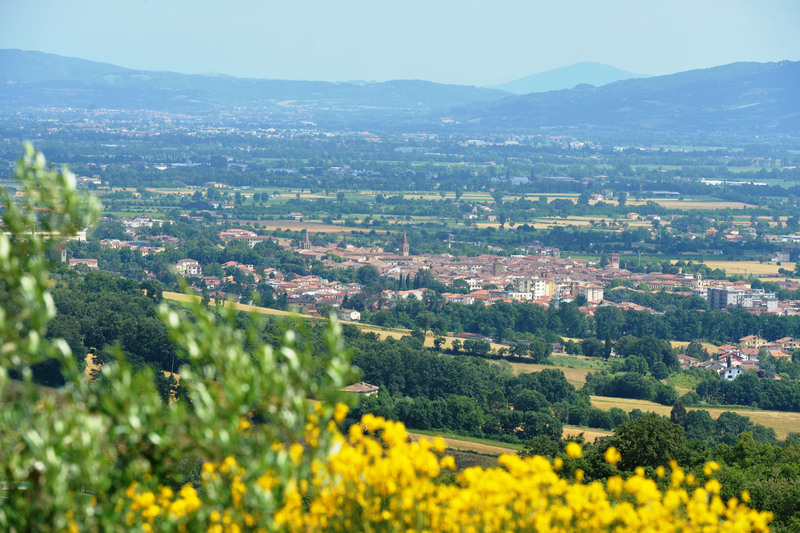 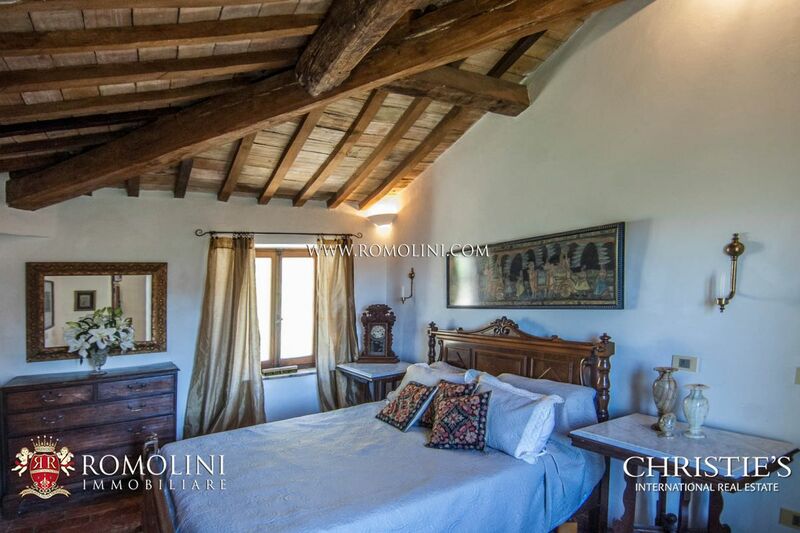 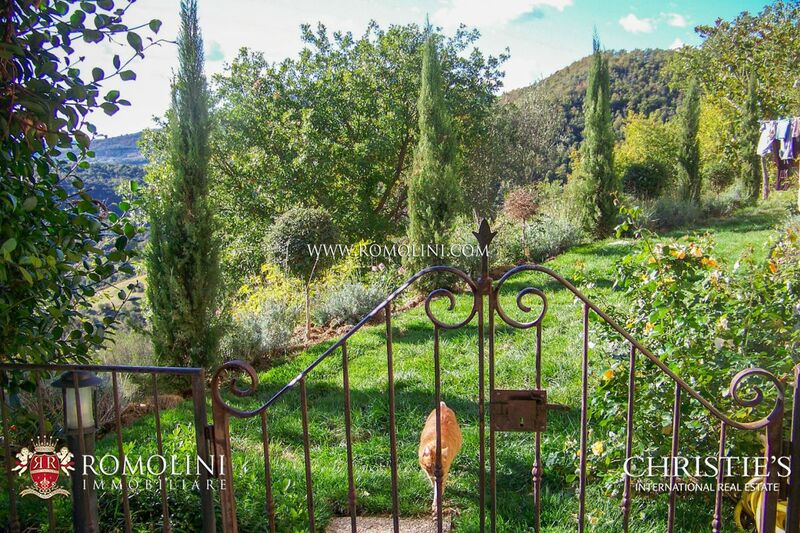 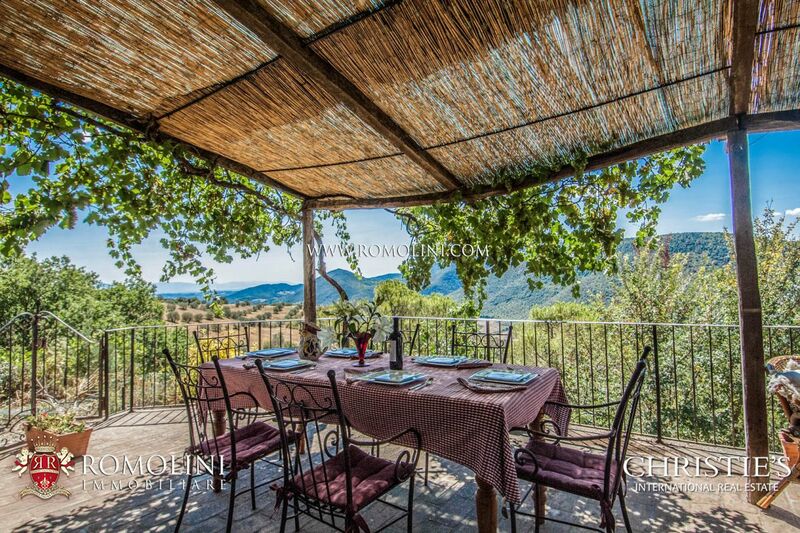 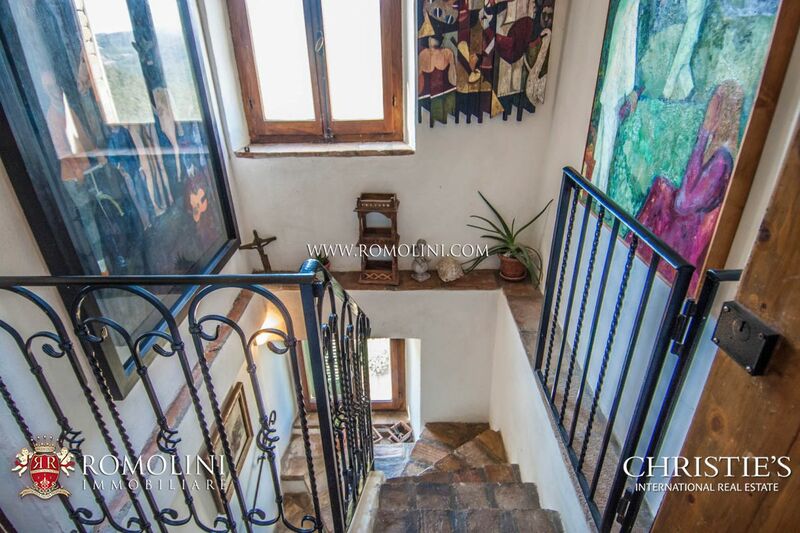 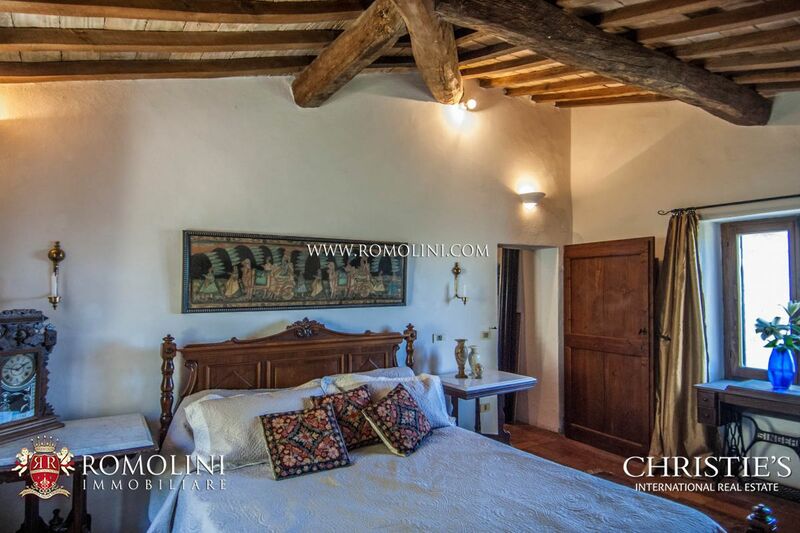 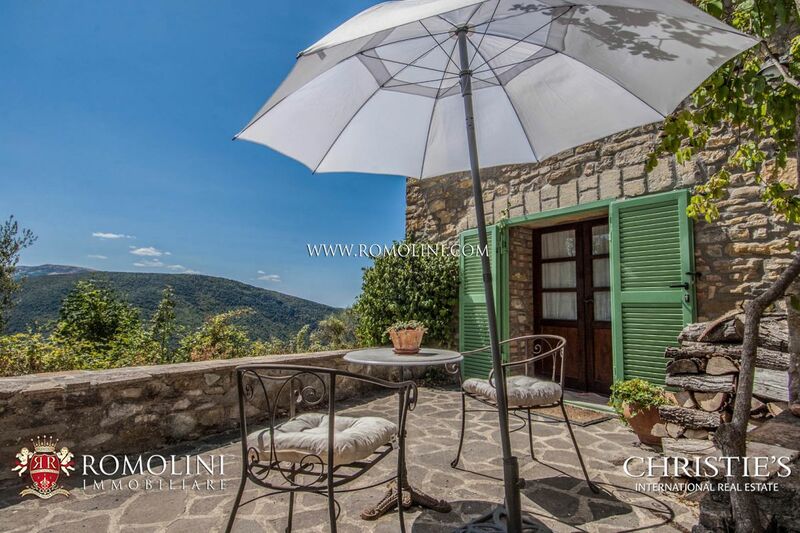 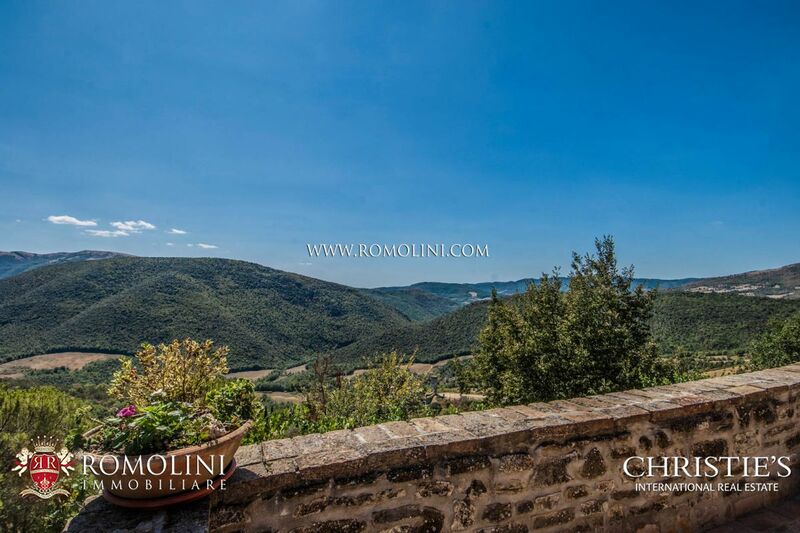 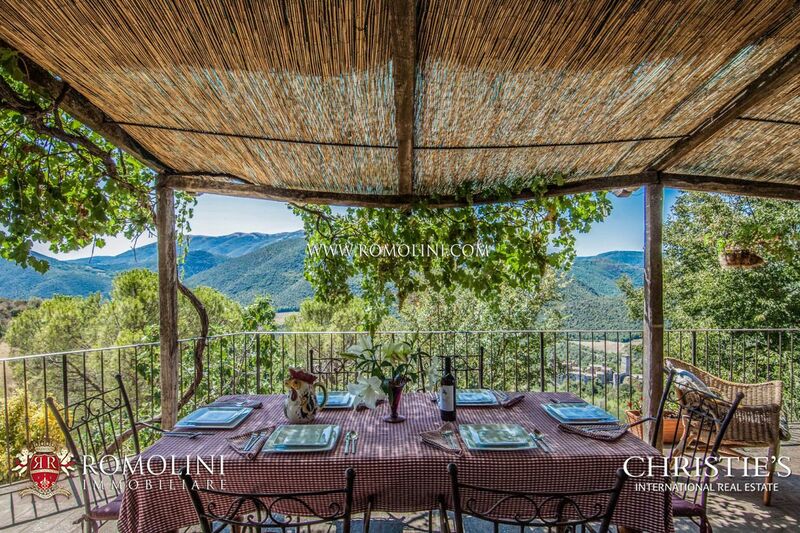 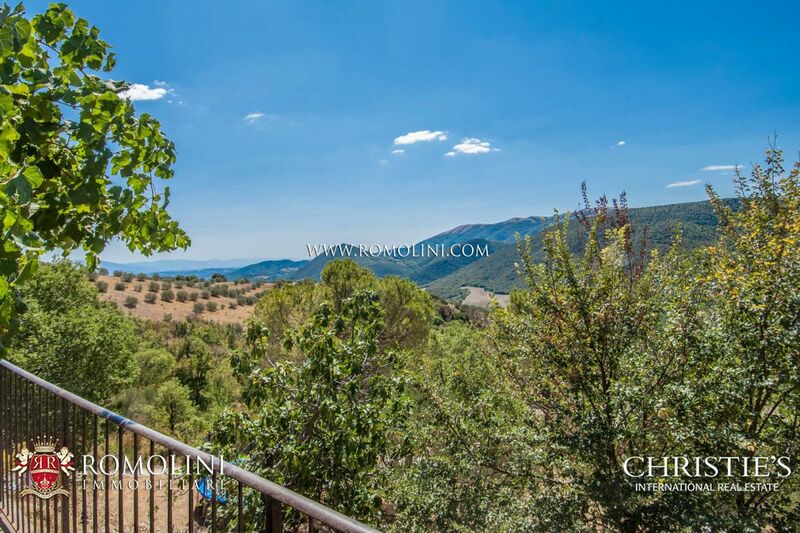 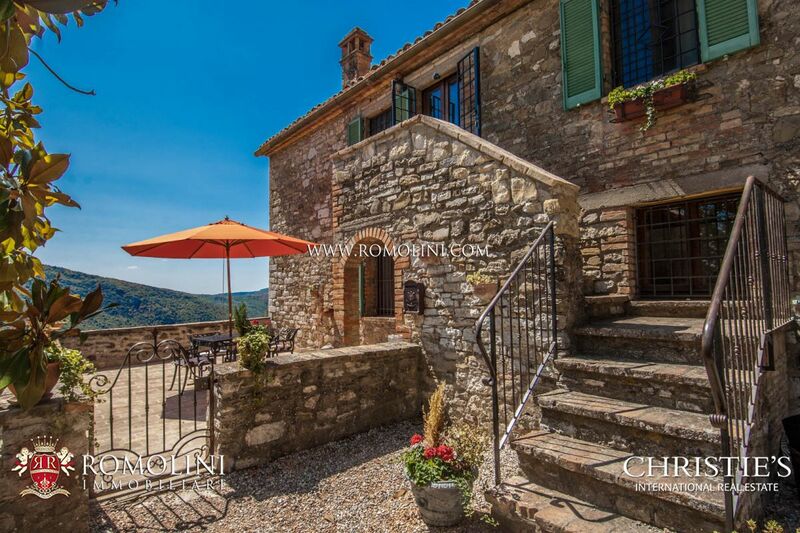 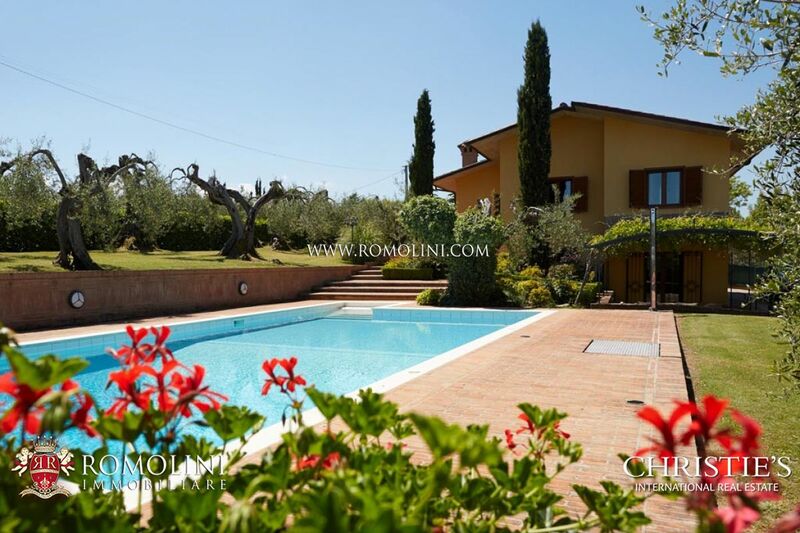 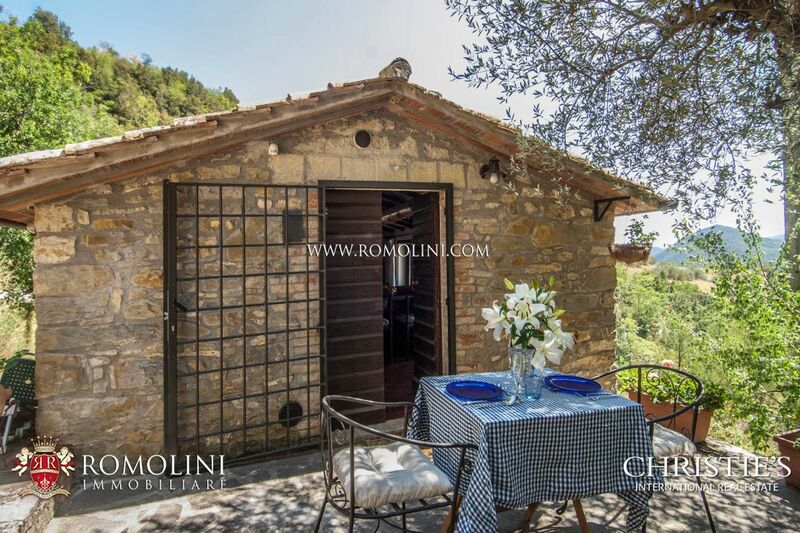 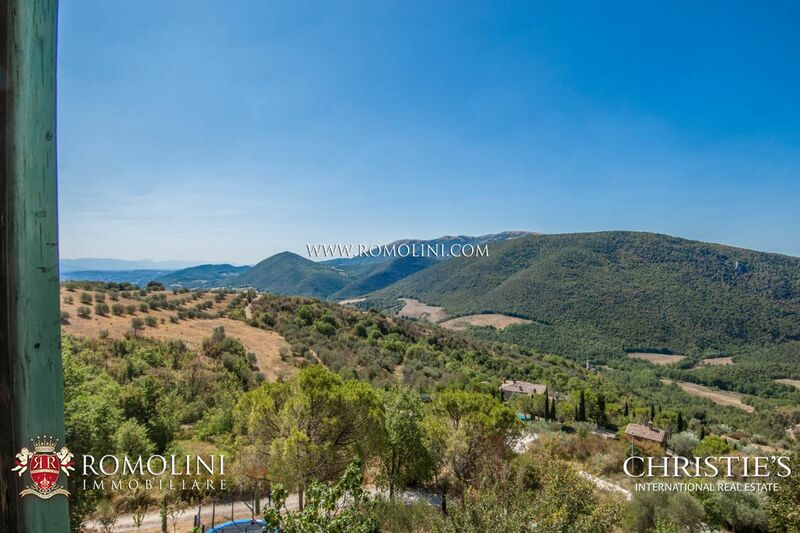 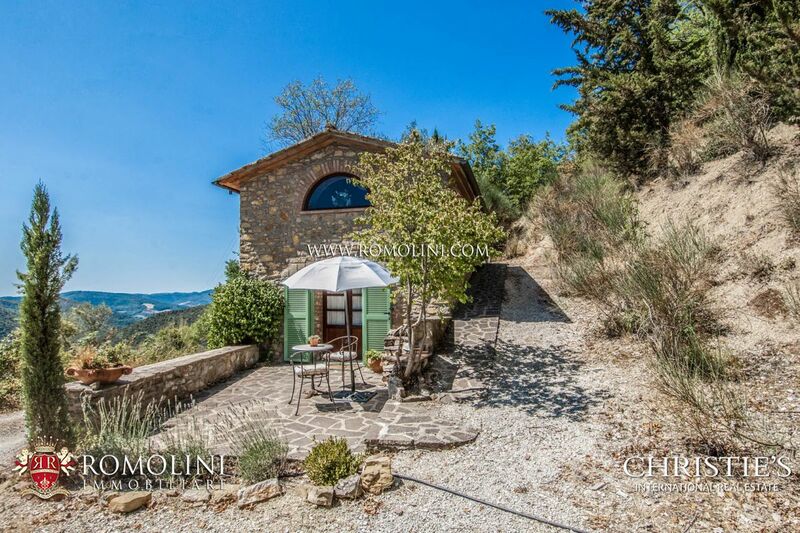 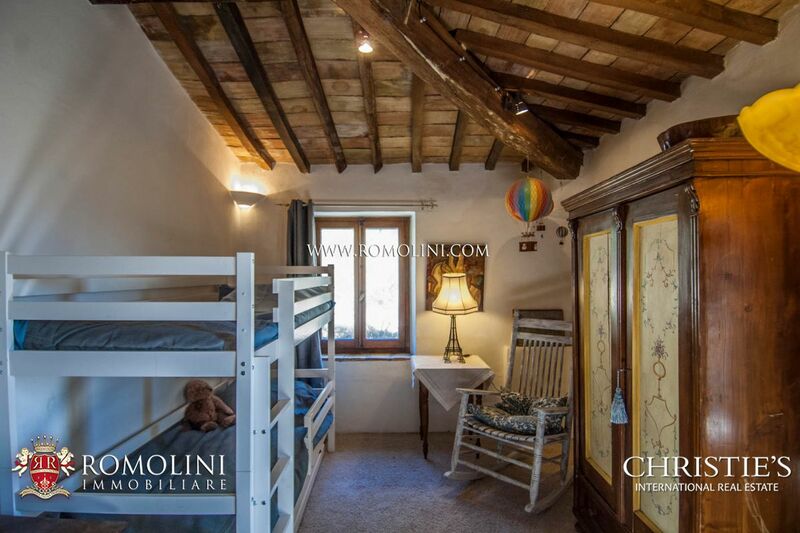 Easily reached via a well-maintained unpaved road, the farmhouse grants a quick access to a town with all the necessary services and many other cities of Umbria: Umbertide (12km; 25’), Pierantonio (13km; 25’), the Etruscan Perugia (26km; 45’), the medieval Gubbio (35km; 50’), Passignano sul Trasimeno (36km; 40’), the Roman Città di Castello (37km; 40’) and the Franciscan shrine of Assisi (53km; 55’). 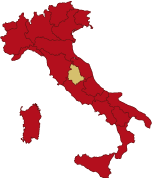 Closest airports to the property are Perugia Sant’Egidio (37km; 40’), Firenze Peretola (176km; 2h 5’), Roma Ciampino (219km; 2h 40’) and Roma Fiumicino (234km; 2h 40’). 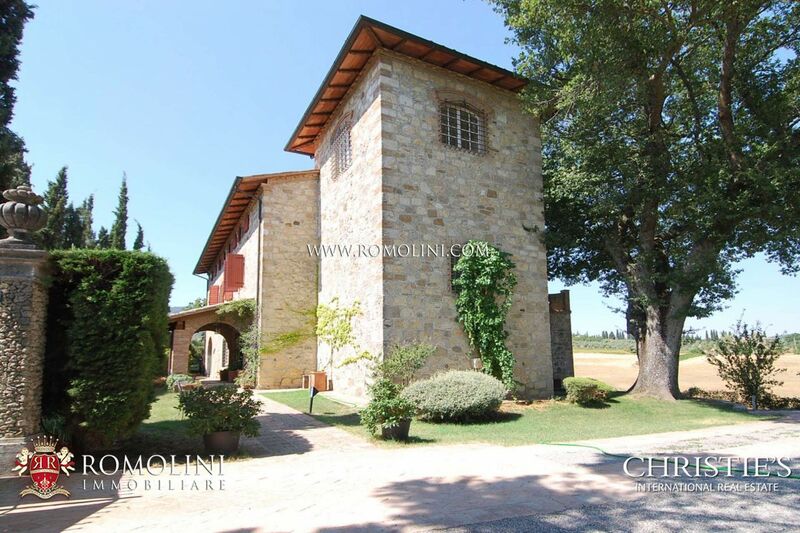 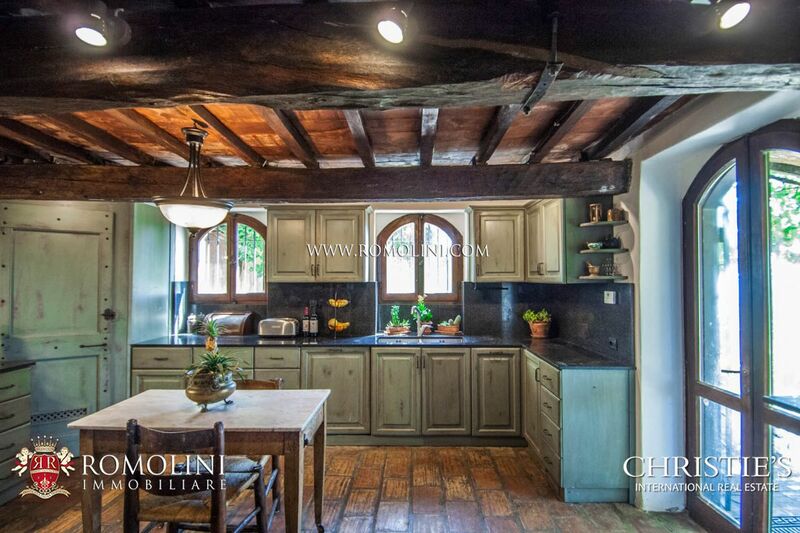 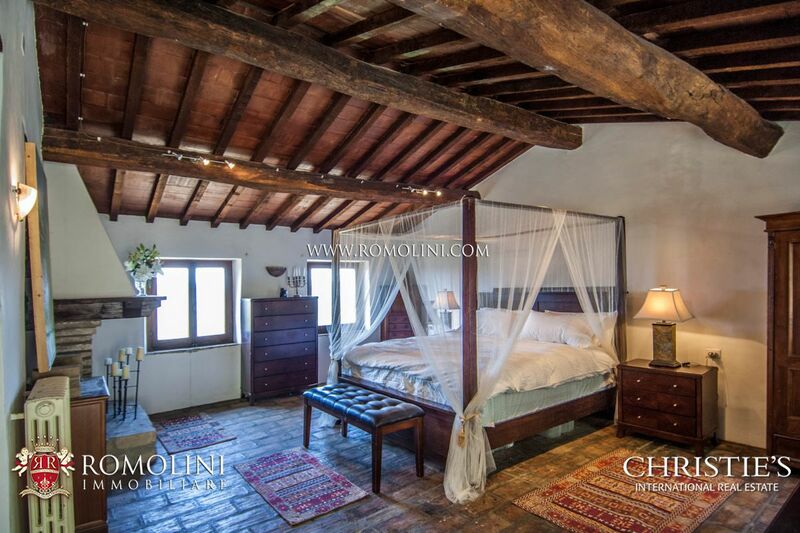 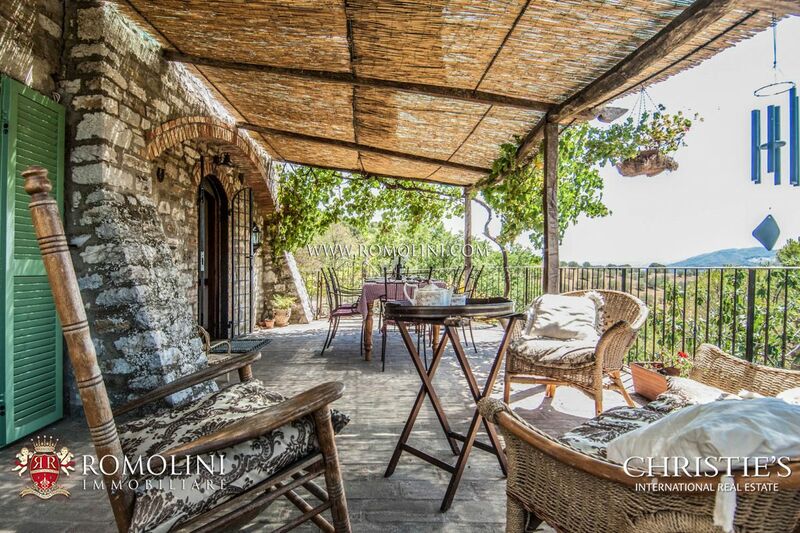 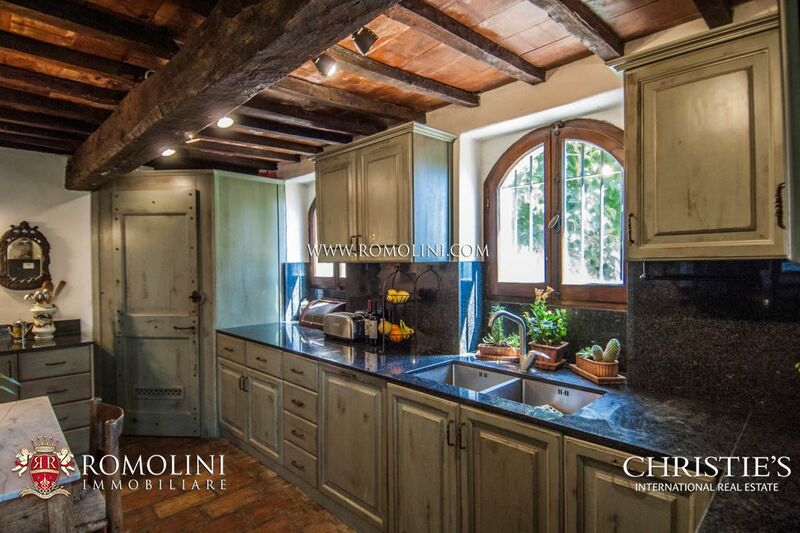 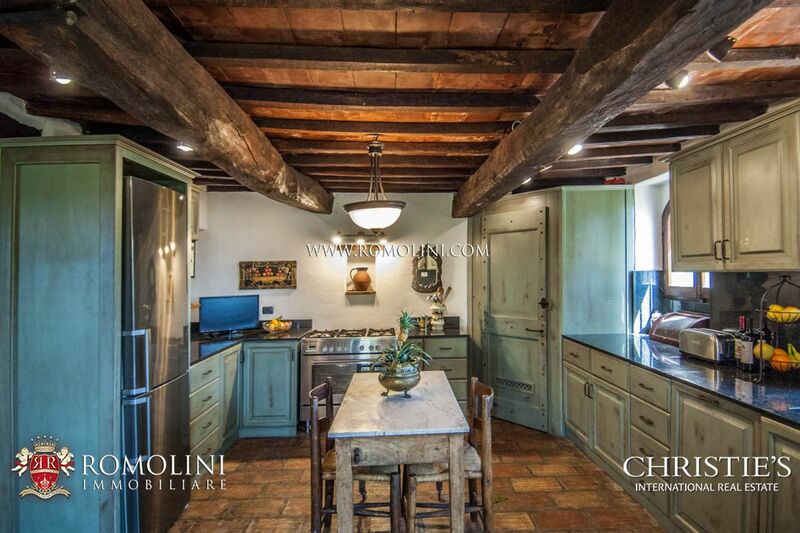 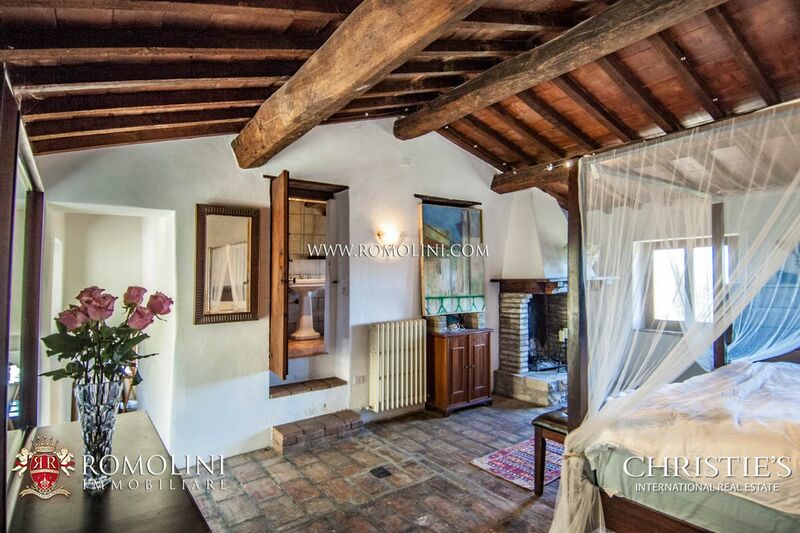 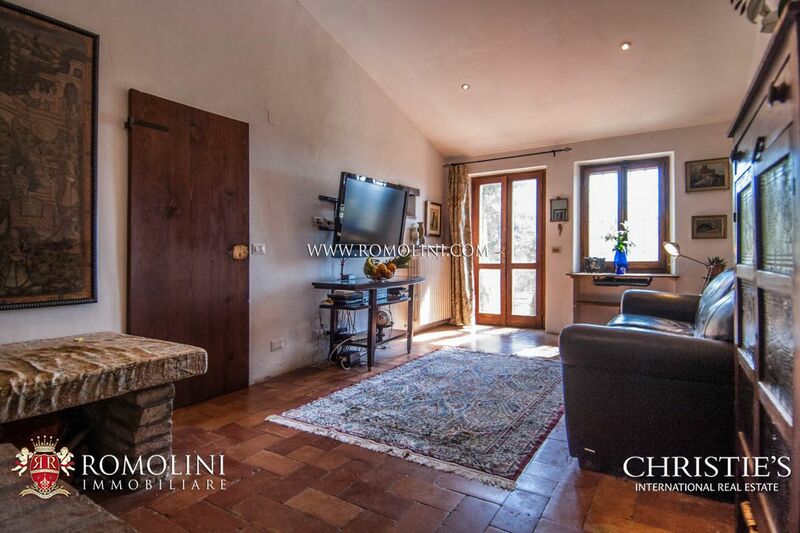 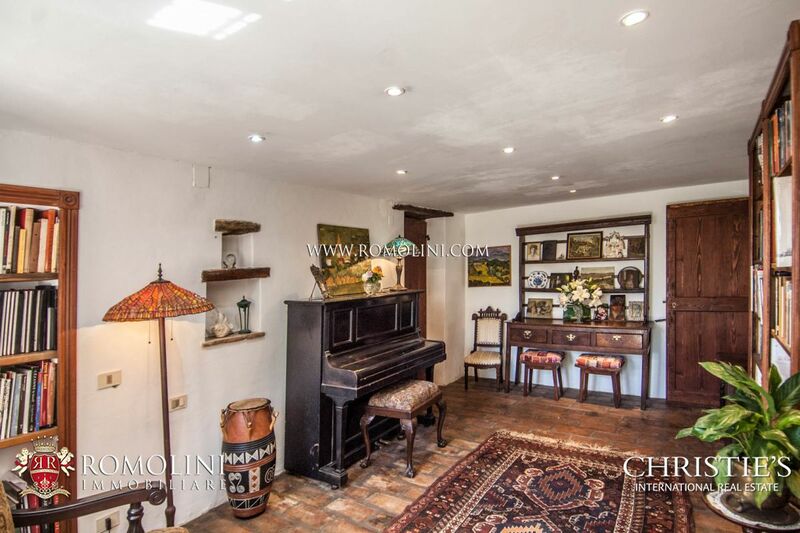 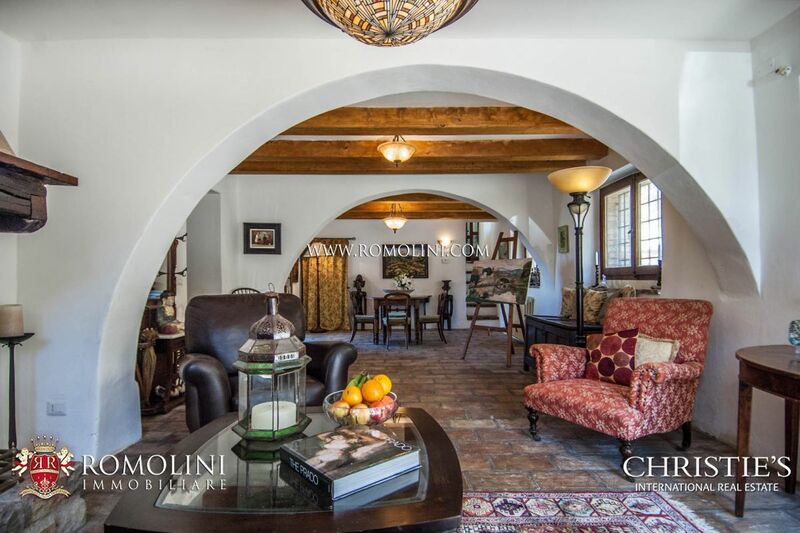 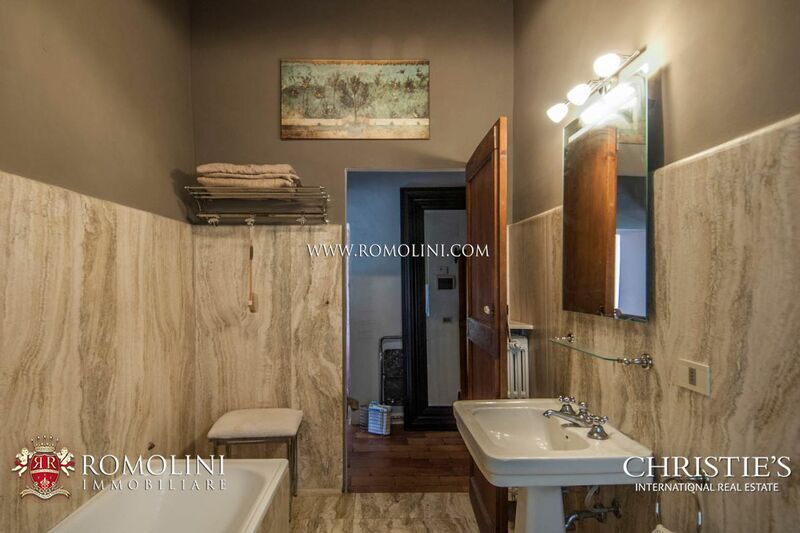 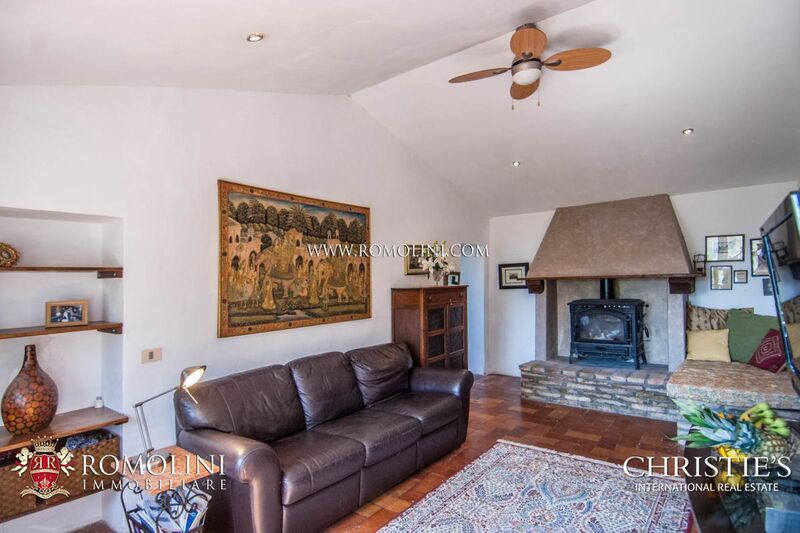 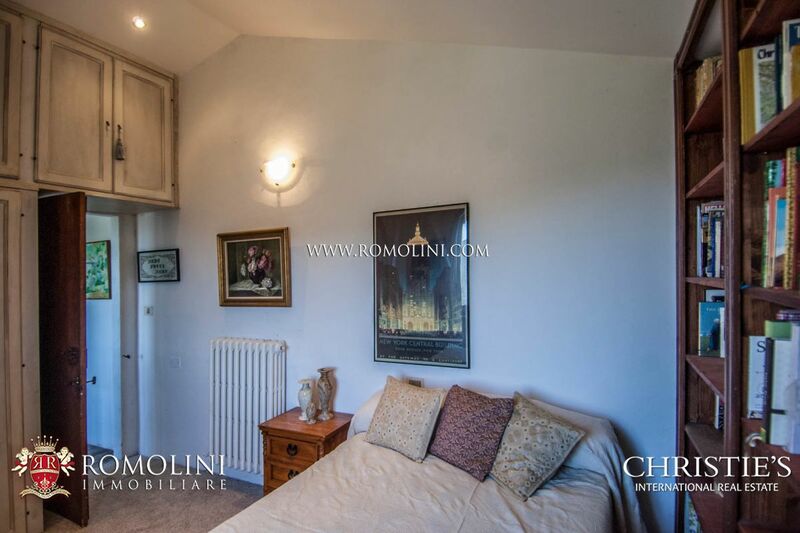 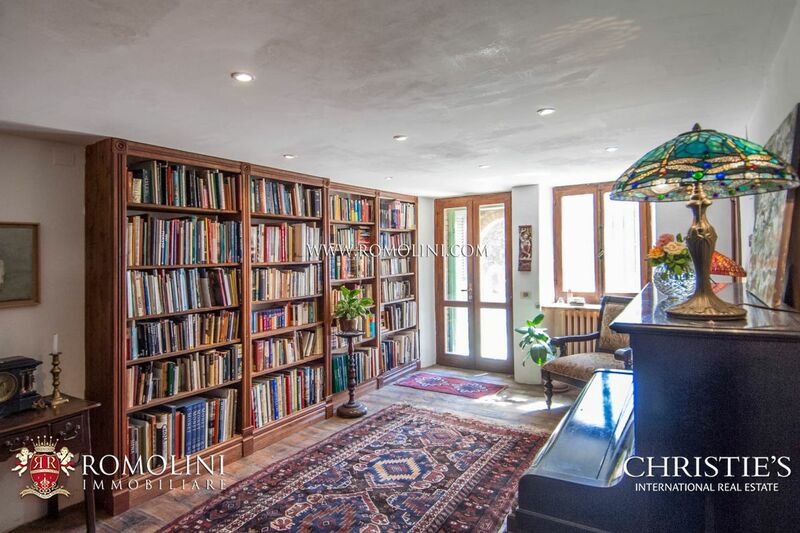 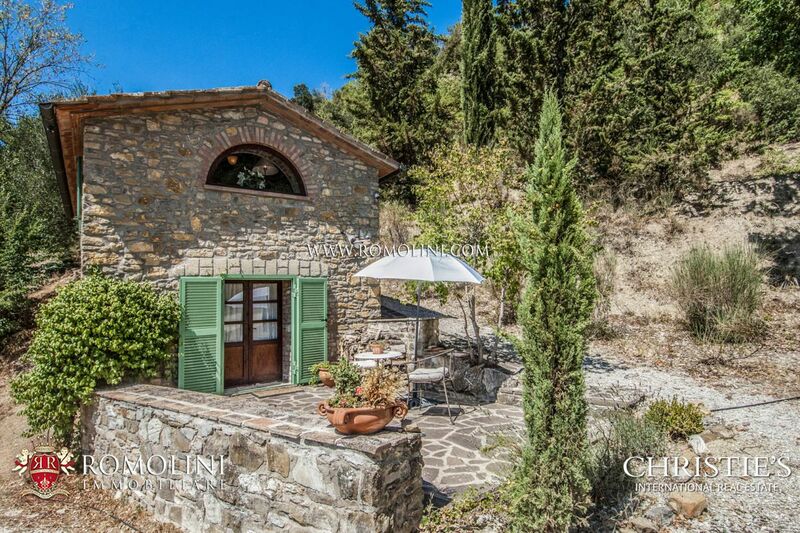 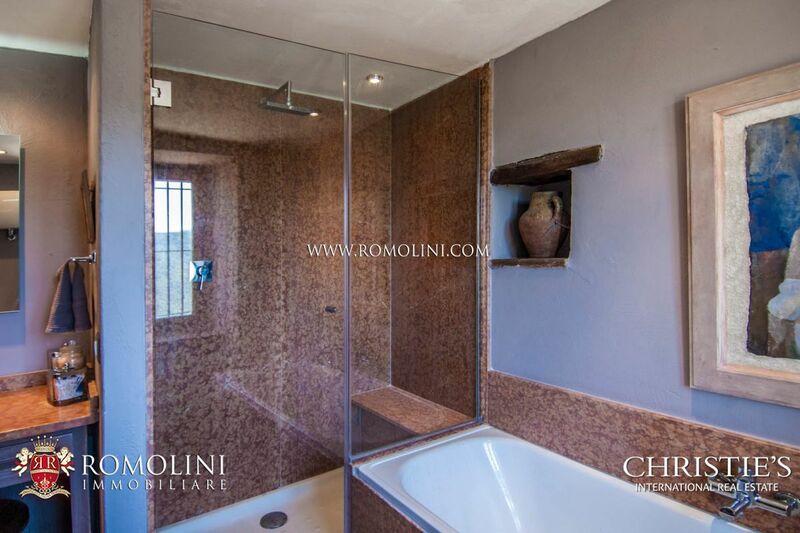 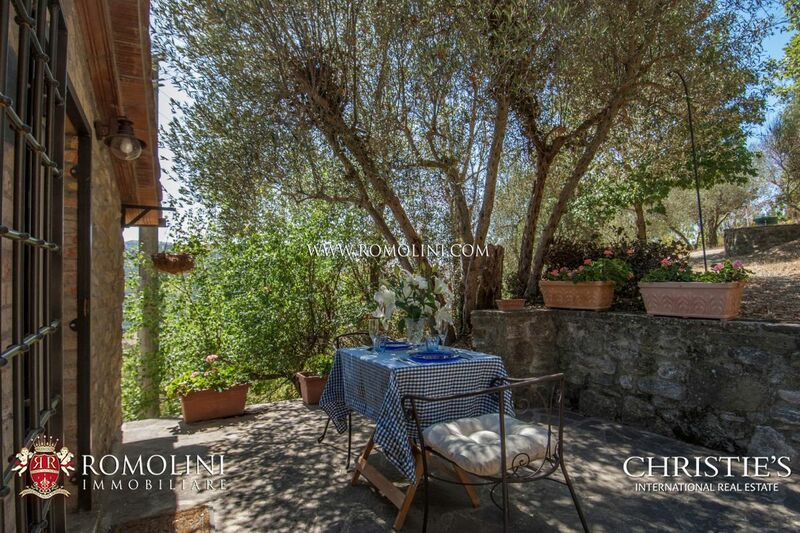 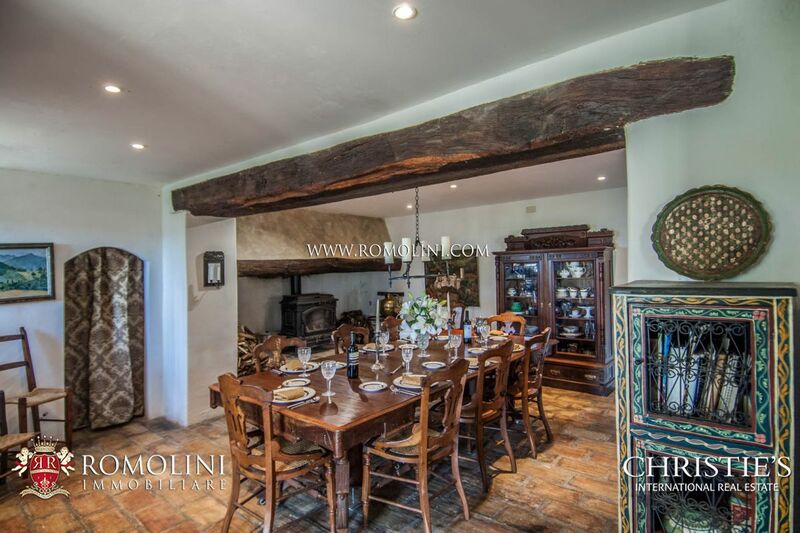 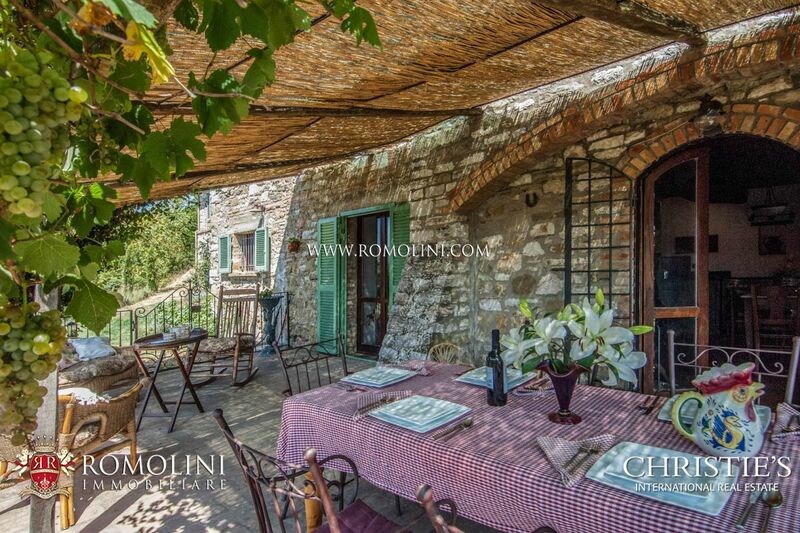 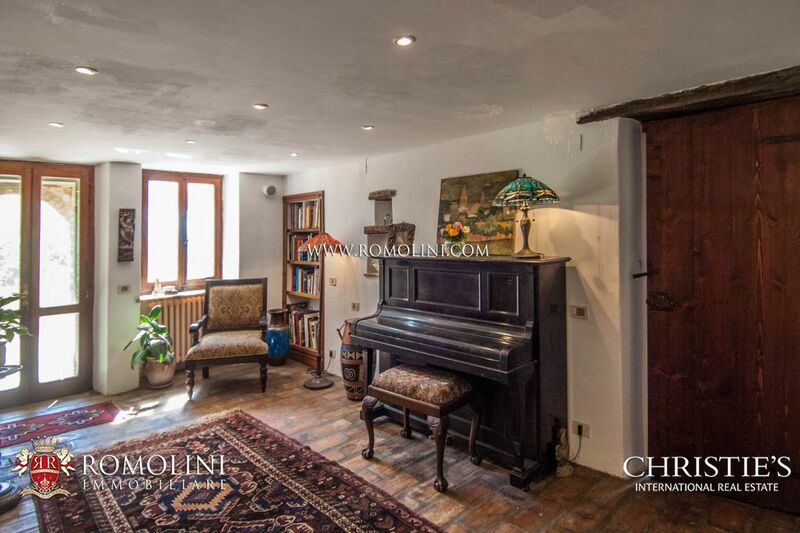 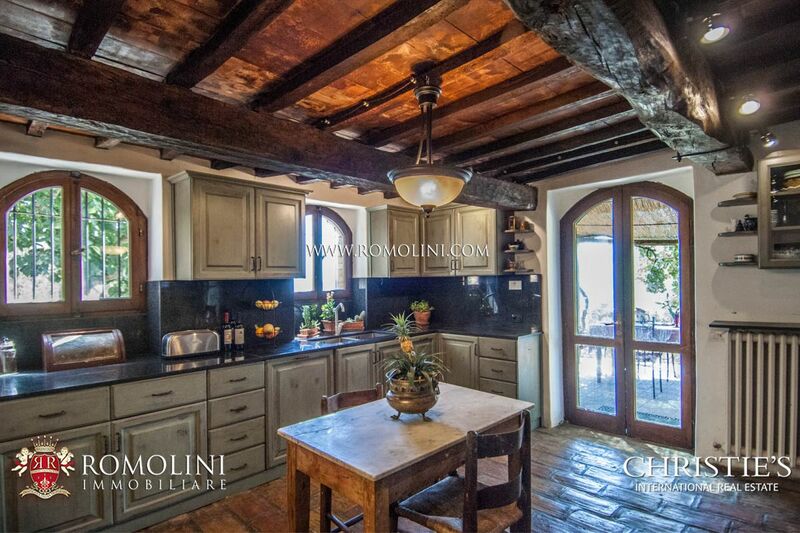 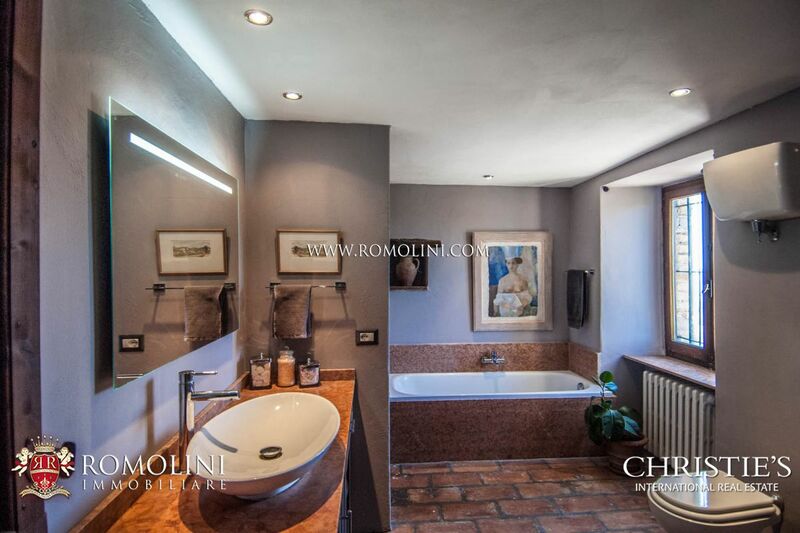 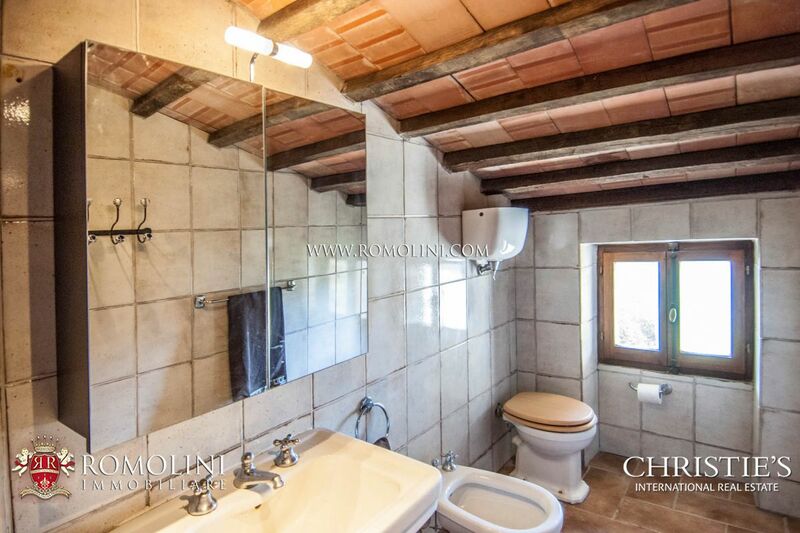 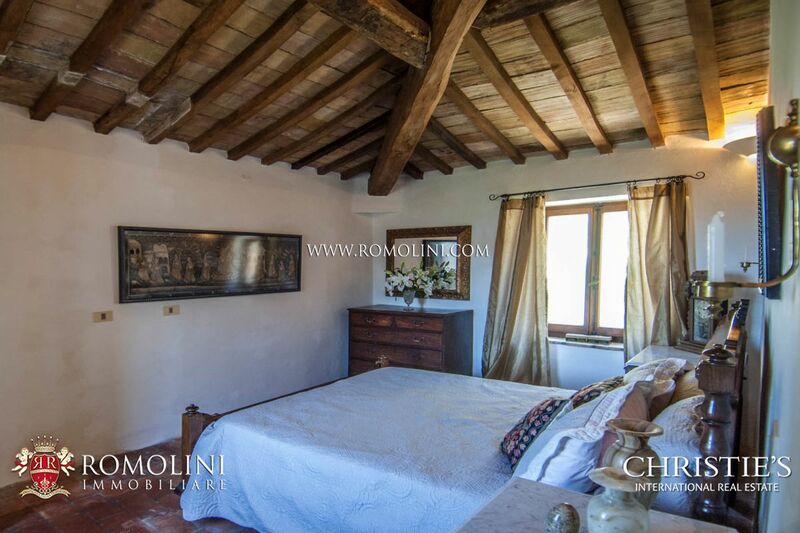 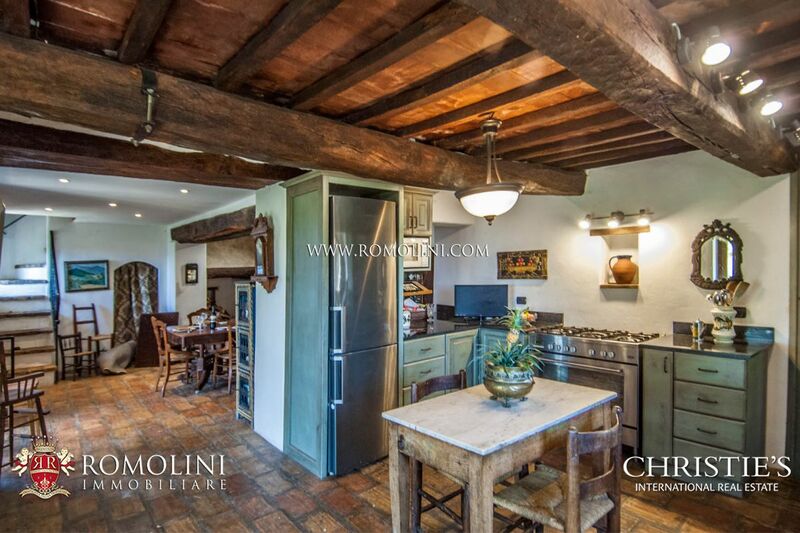 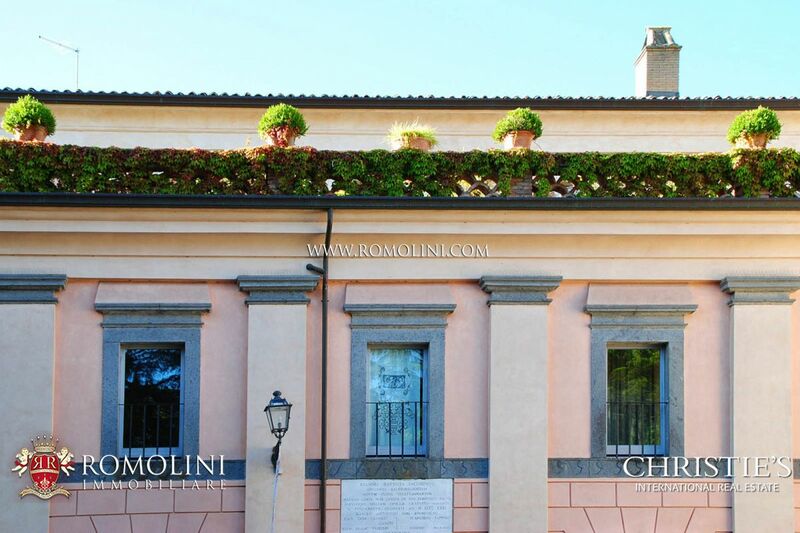 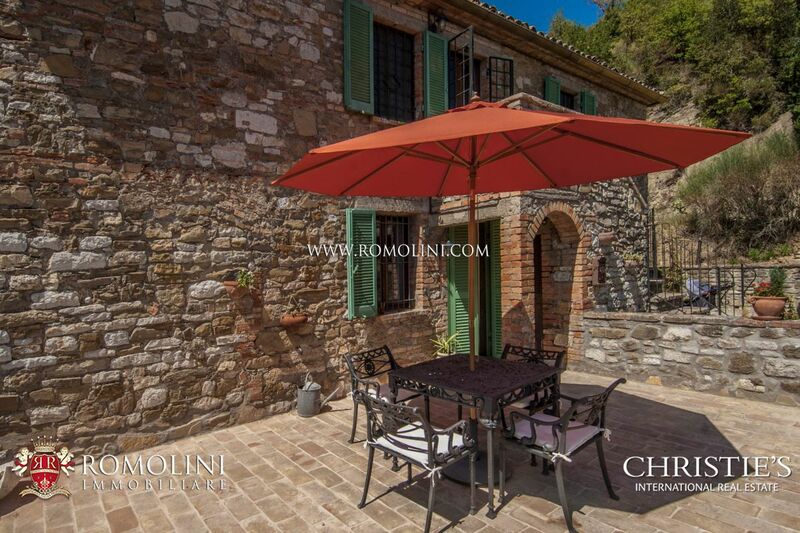 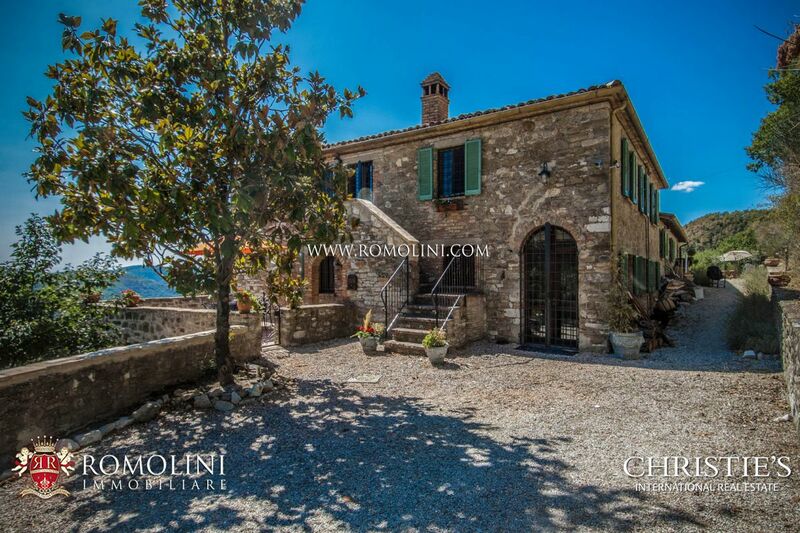 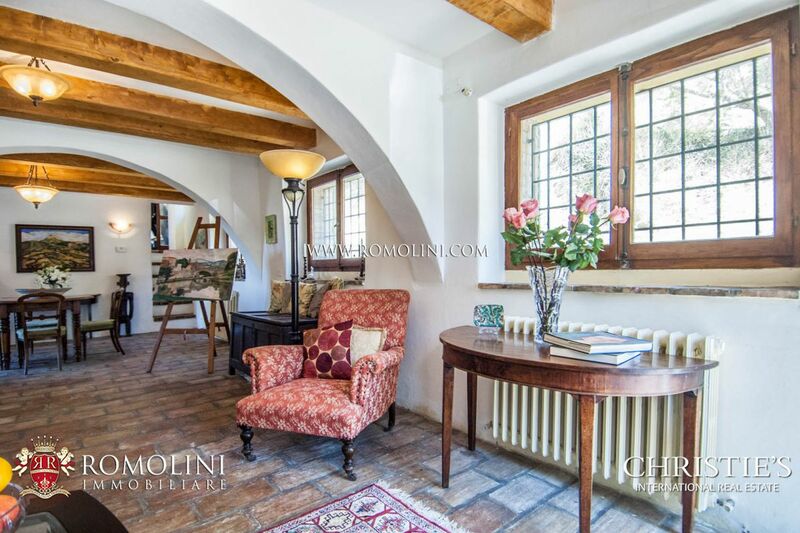 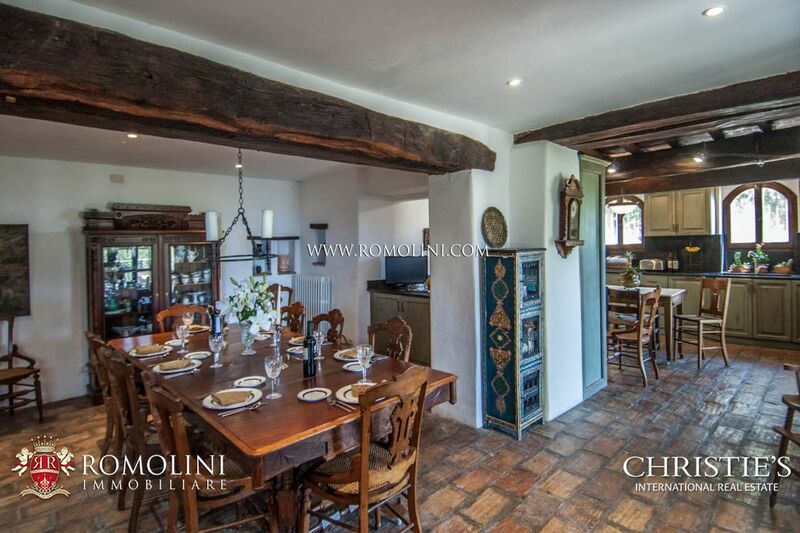 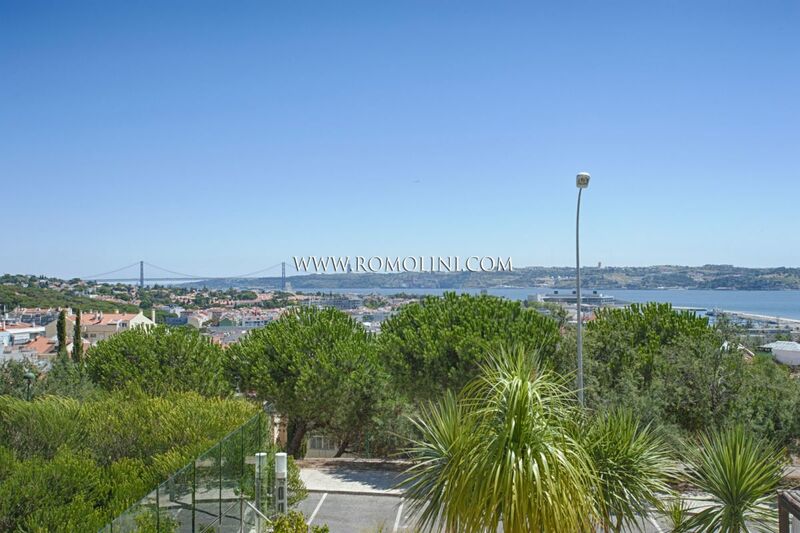 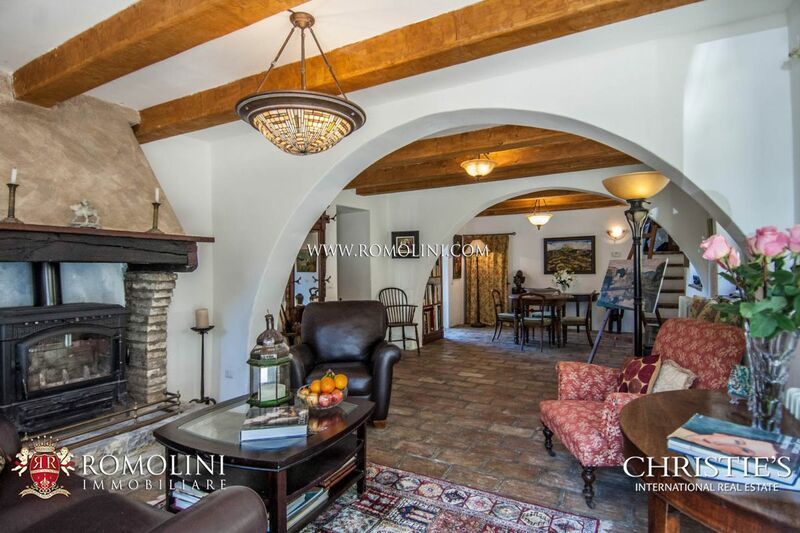 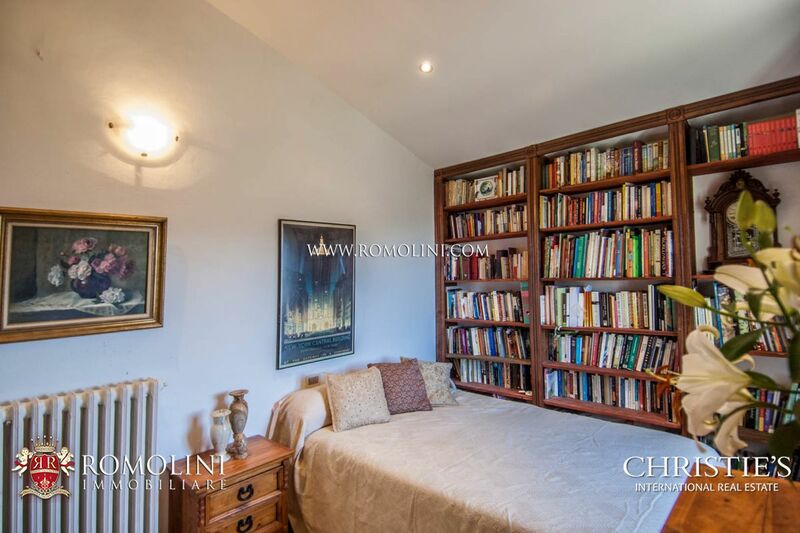 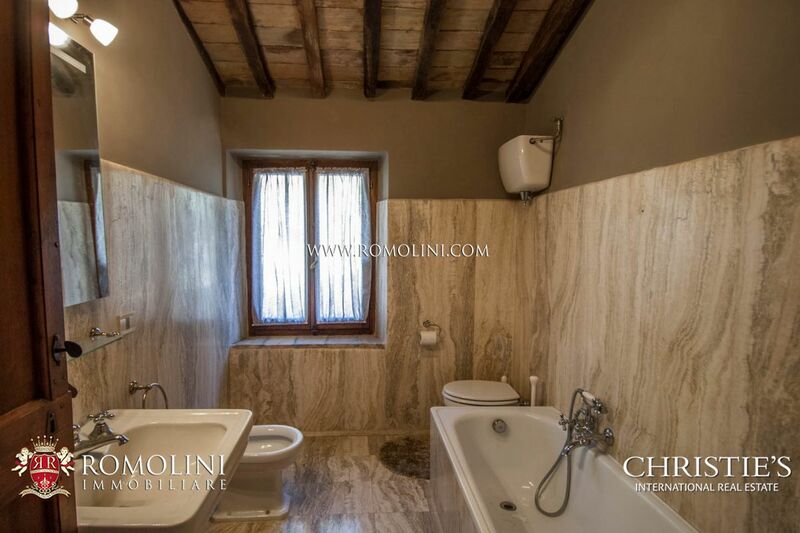 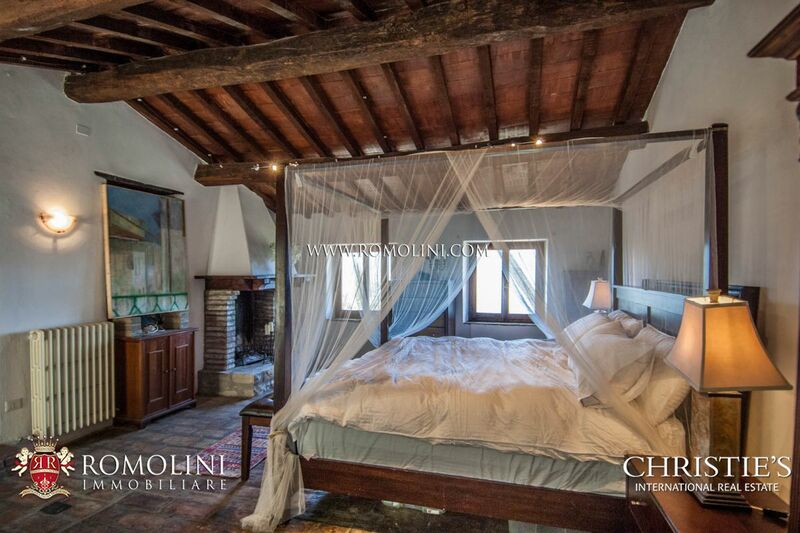 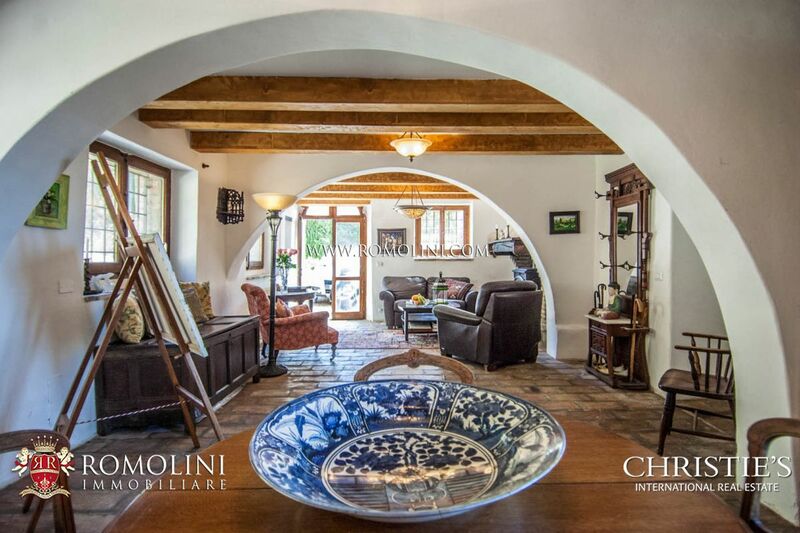 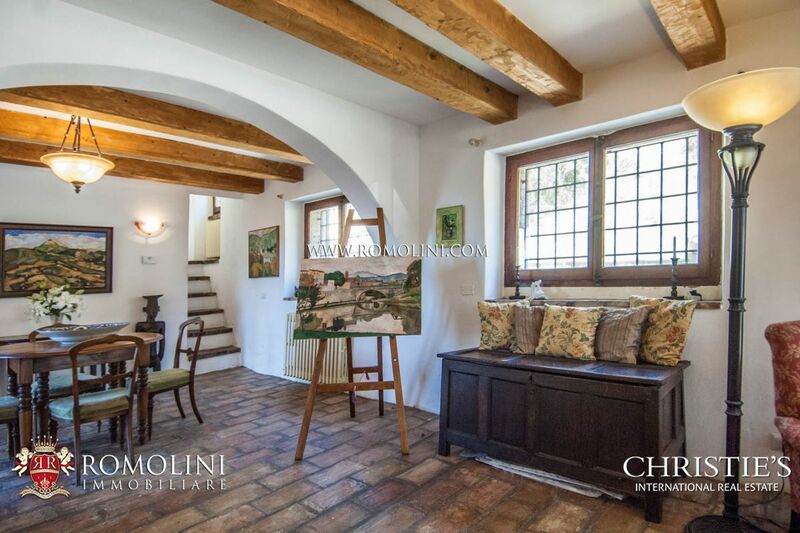 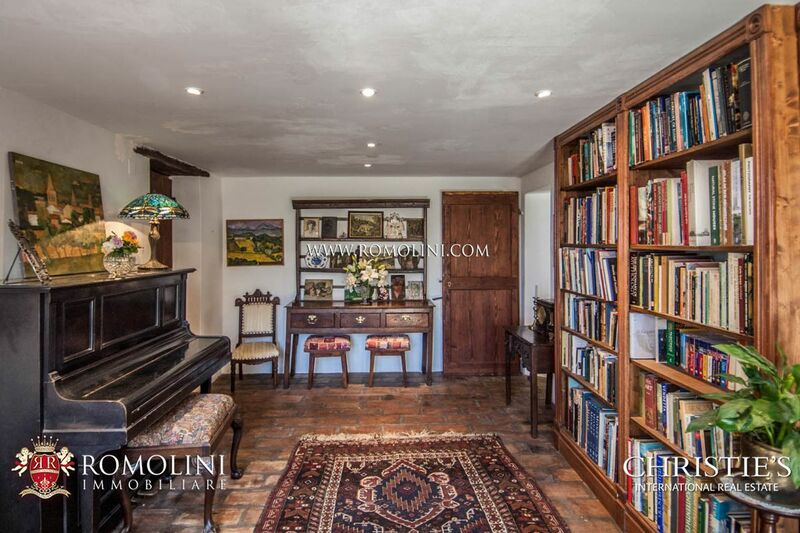 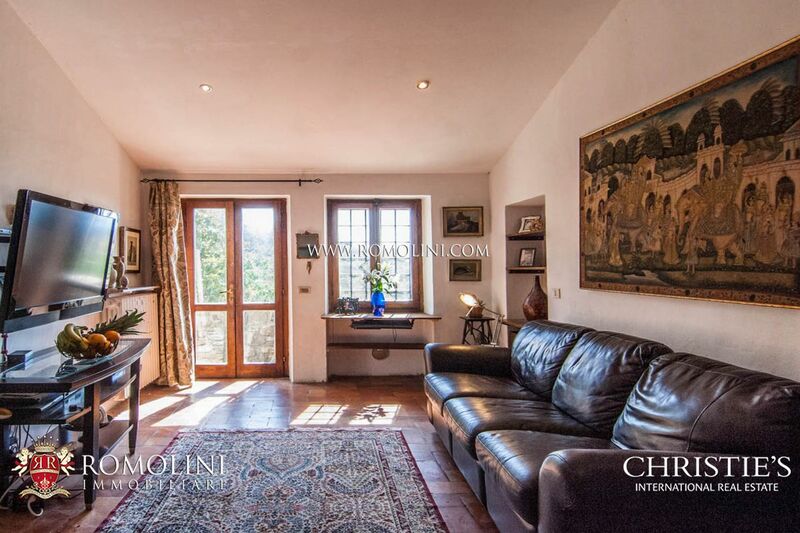 - Basement: kitchen with dining room, both with access to the outside loggia. 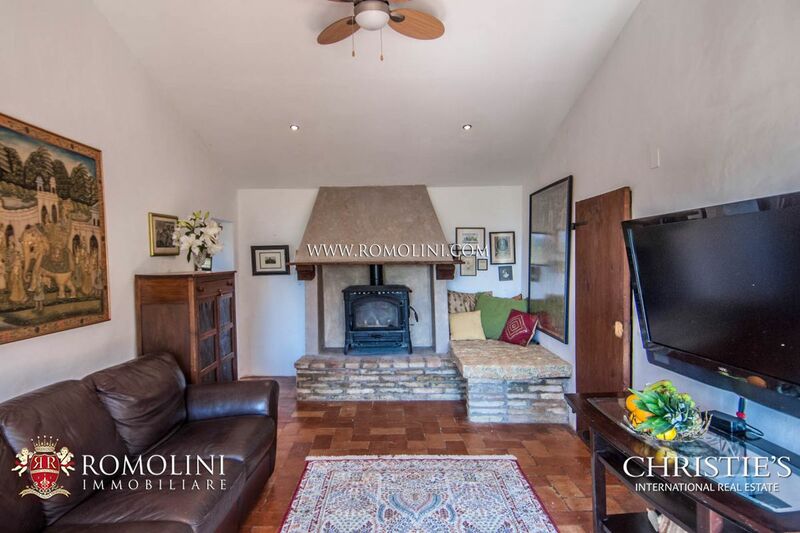 - Ground floor: living room (library) with access to the external terrace, living room with fireplace, closet room and bathroom. 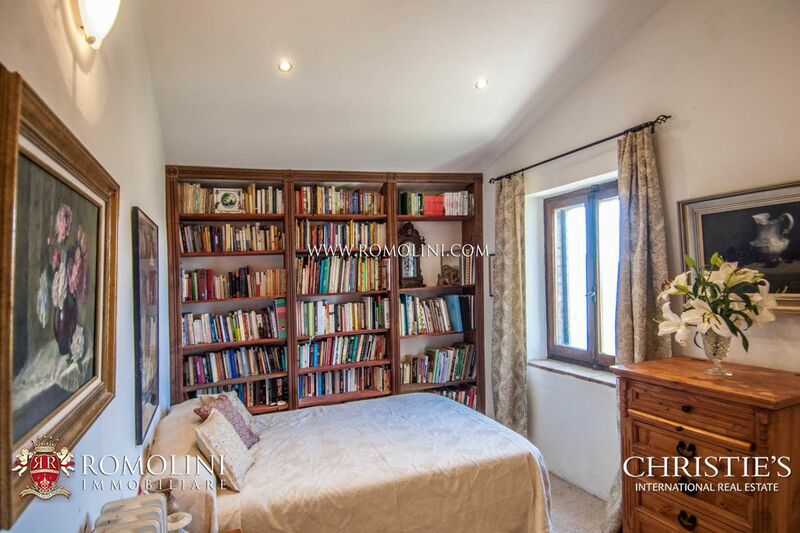 Through a couple steps we enter the master bedroom, fitted with fireplace, en-suite bathroom and direct access to the outside. 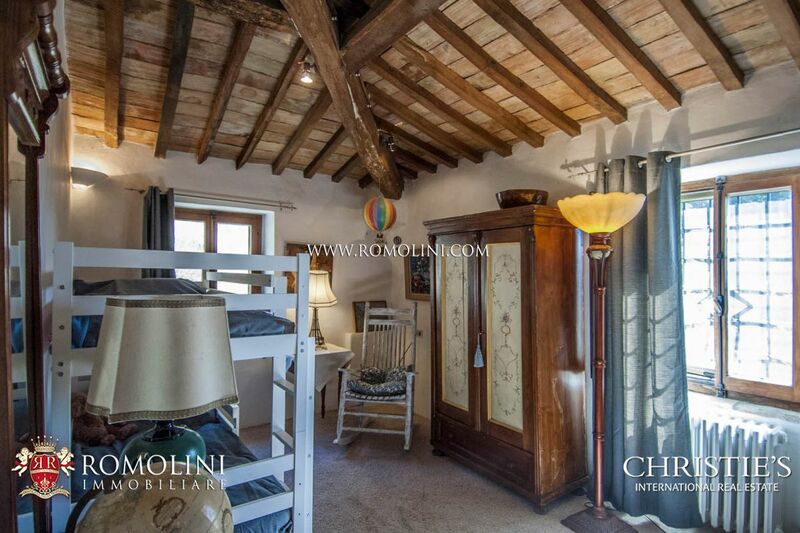 Small independent apartment made up of bedroom with fireplace, kitchenette and bathroom. 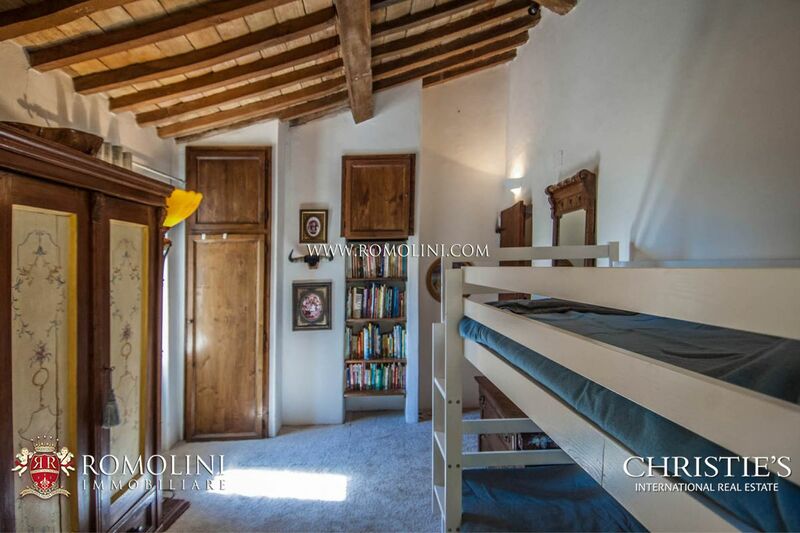 - First floor: bedroom, living room with fireplace and access to the outside, landing, 2 bedrooms and bathroom. 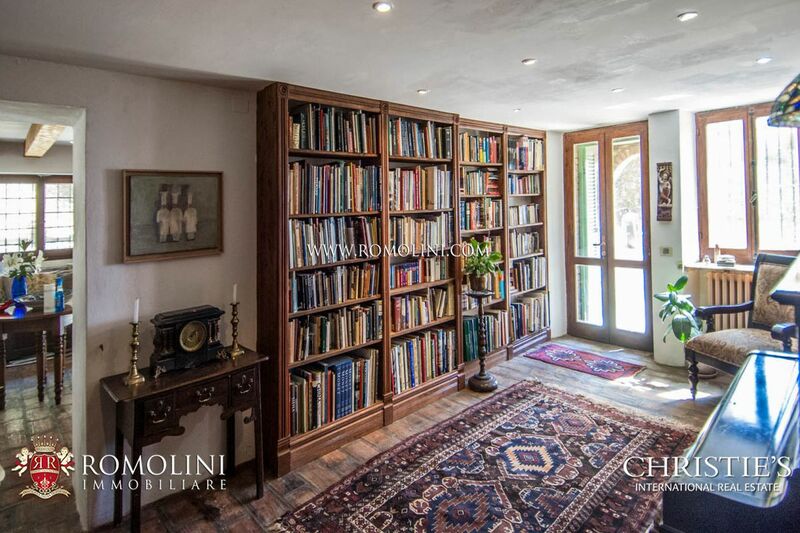 The warehouse (approx. 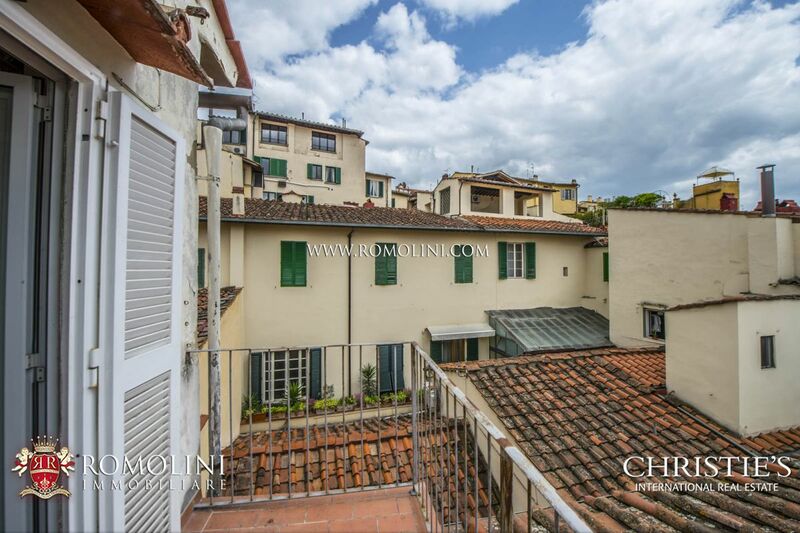 50 sqm – 538 sqft) is laid out onto two floors, of which one is a basement. 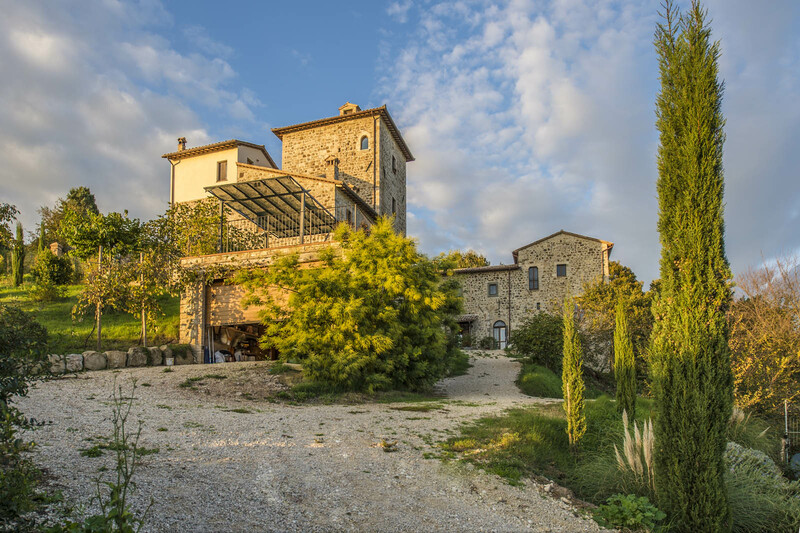 The building is already fitted with electrical and water system. 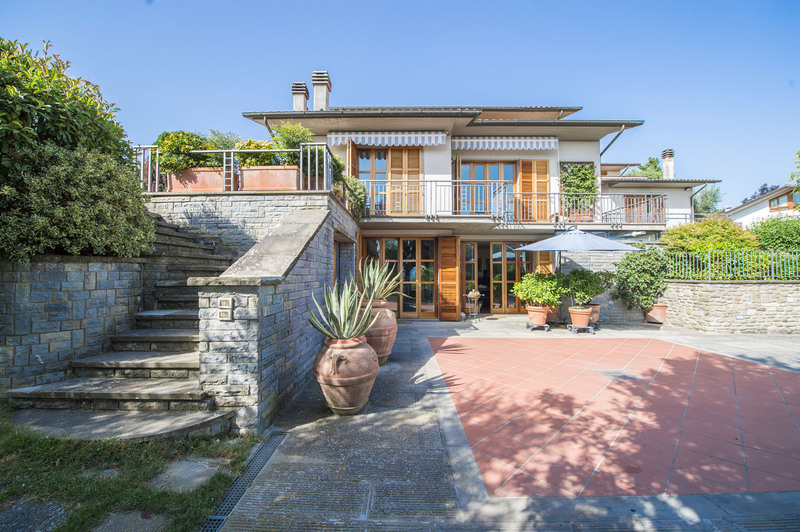 On the outside there are two paved terraces. 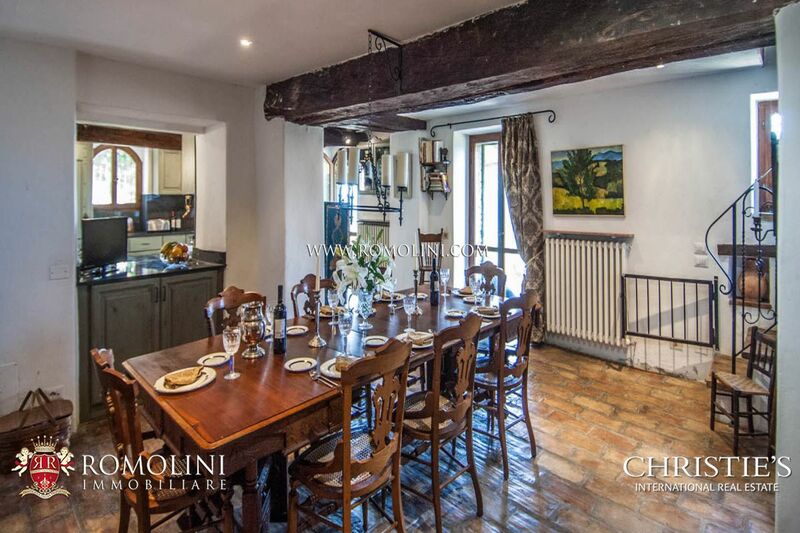 The farmhouse, entirely made up of stone and dating back to the 17th century, has been attentively restored to preserve the typical traits of countryside buildings. 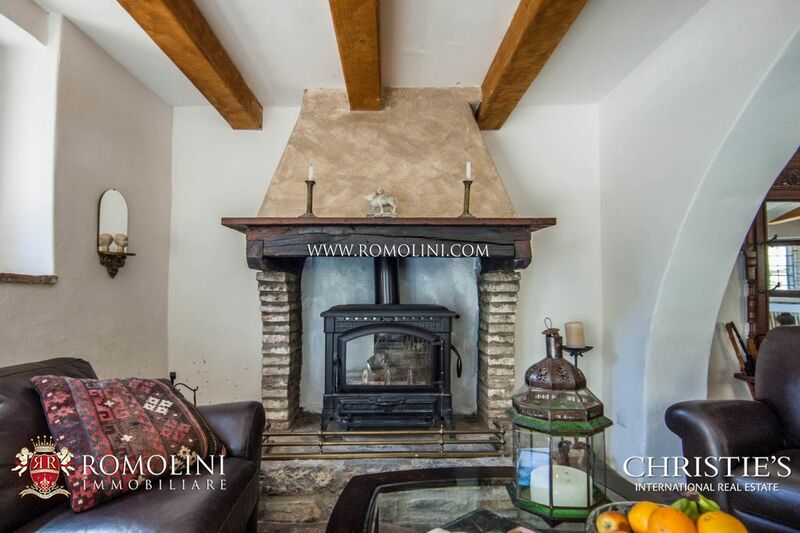 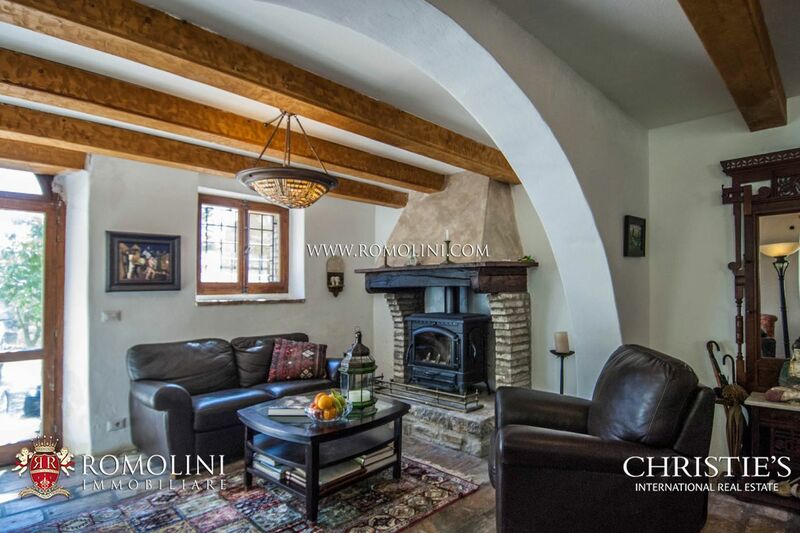 We can find wooden beams, ancient terracotta floors and beautiful stone and masonry fireplaces. 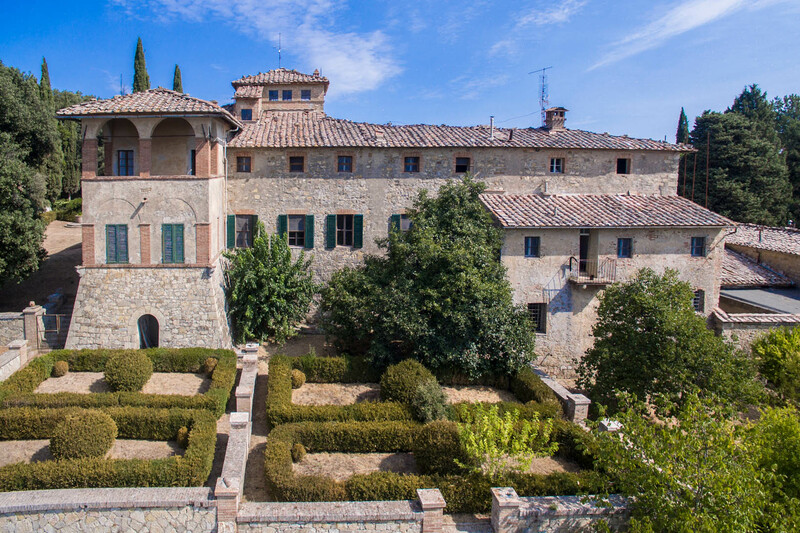 The farmhouse is surrounded by 5,000 sqm of garden dotted by trees and decorated by formal topiary (hedges). 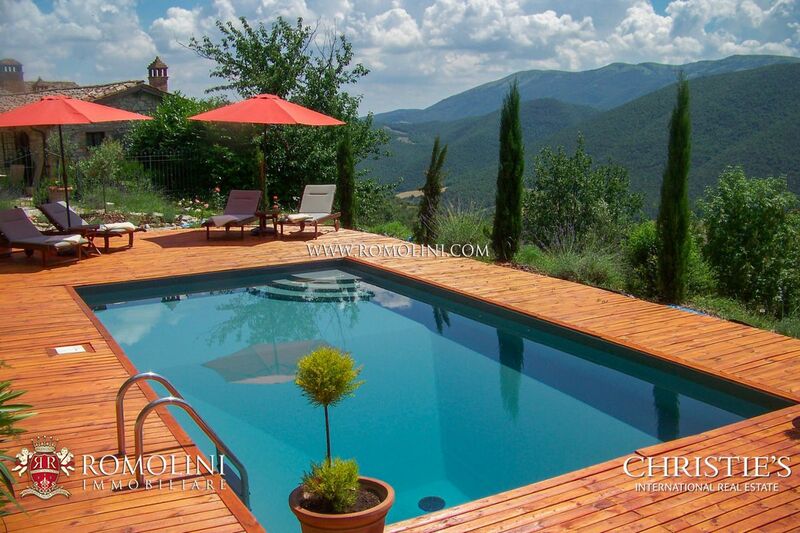 A short distance from the main building there is he 8 x 4 m swimming pool, surrounded by a stone-paved solarium. 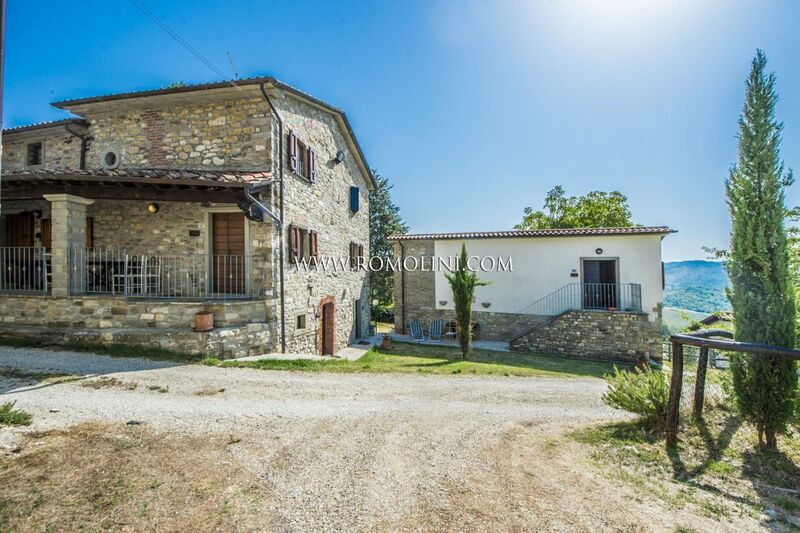 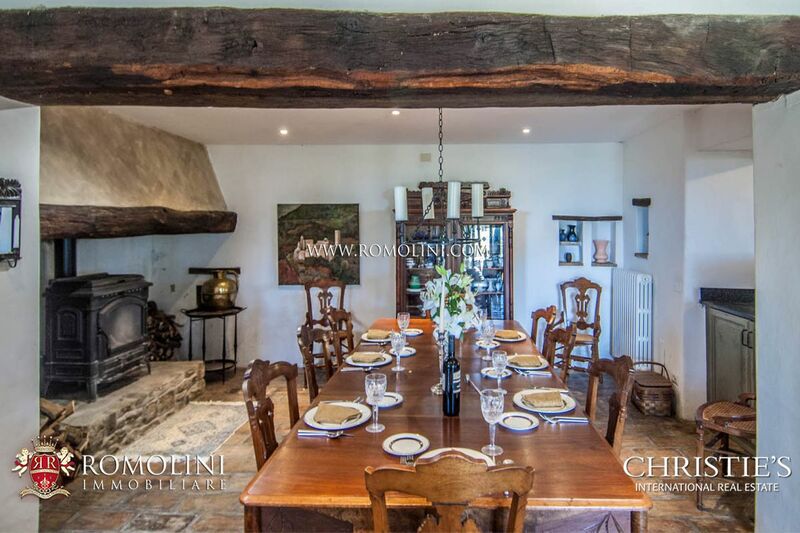 The farmhouse, thanks to its quiet location, is perfect to be used as a private residence if we are looking for a retired life away from the cities. 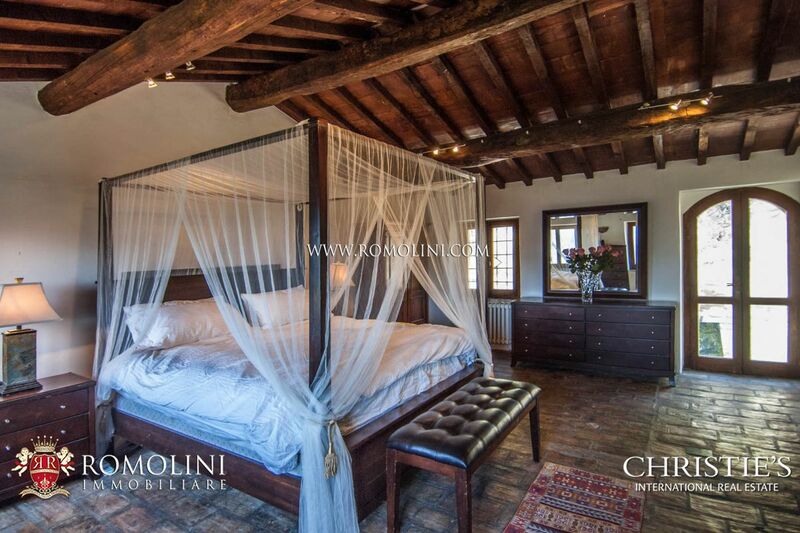 Alternatively, being possible to obtain up to 6 bedrooms, it is always possible to start a B&B-like hosting business. 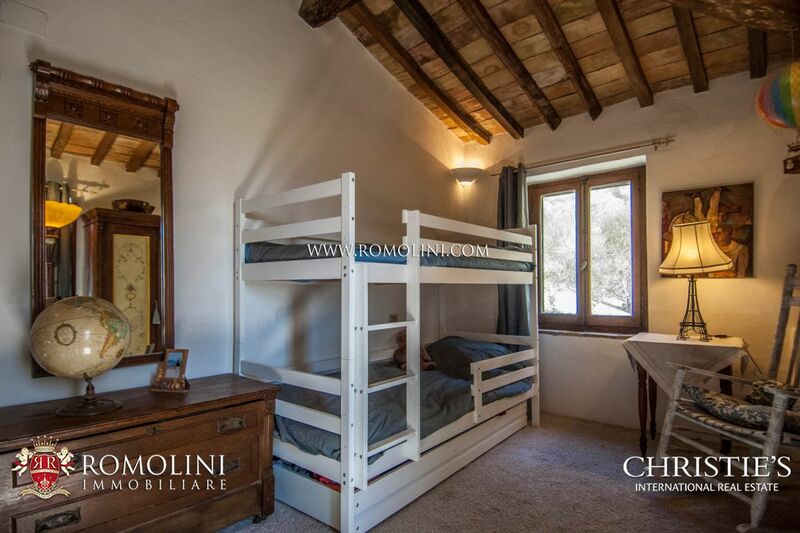 If one wants to live in the property and at the same time gain a small amount of money, it is also possible to rent out the independent apartment on the ground floor.